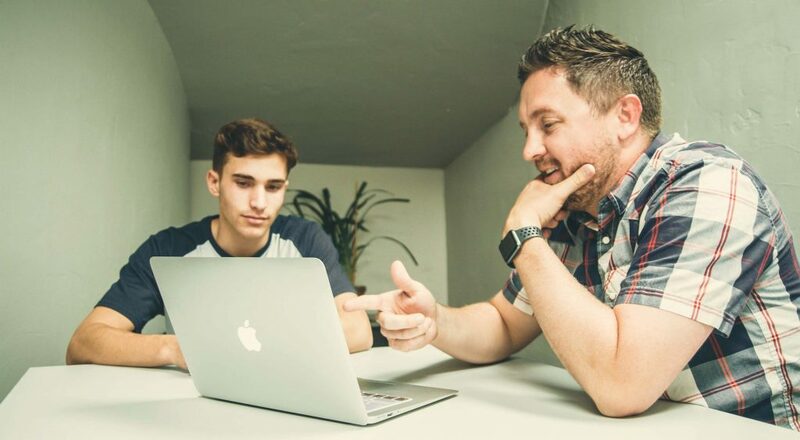 Whether you design WordPress themes or just use them, you’ve got to stay on top of what’s happening in the world of WP theme creation. 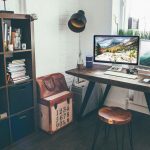 Every few months we round up some of the best new themes, both free and premium, from some of the best theme designers out there. 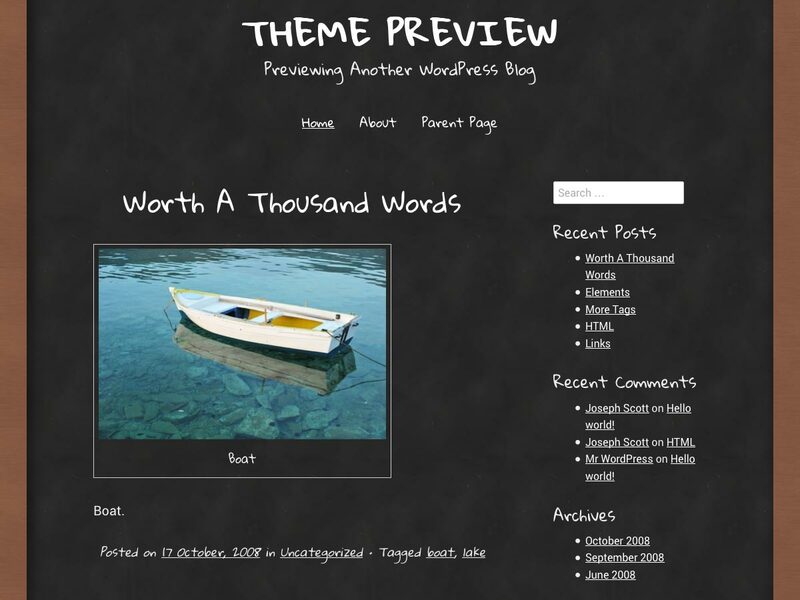 There are great features in both kinds of themes, with free themes offering ever-more premium-like features. Regardless of what you do with WP themes, whether you just use them on your sites or design them yourself, you’re sure to find some great resources and inspiration among the 80 themes below. 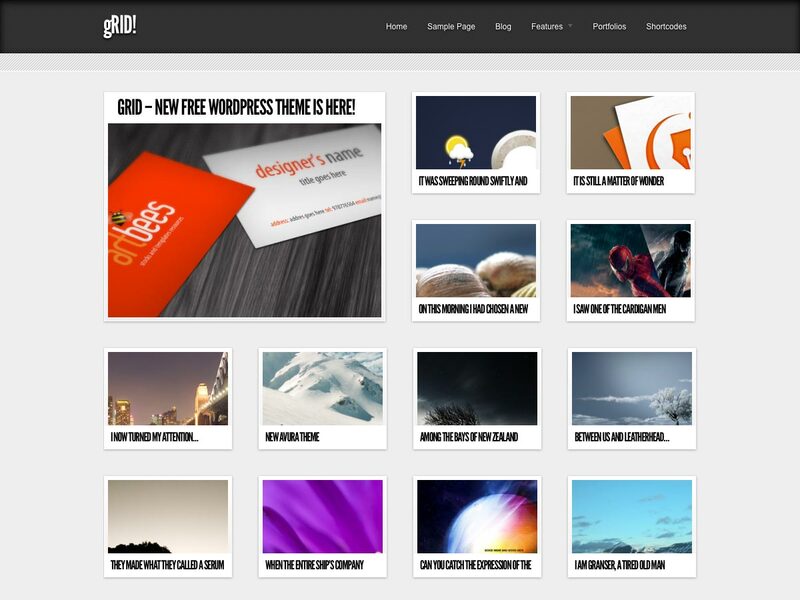 There are tons of great free themes, as well as premium themes starting at less than $30. 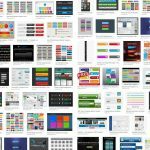 Features in free themes have pretty much caught up with the features that were available in premium themes just a few short months ago. The main difference is going to be the level of support offered; free themes likely will have little or no support. But if you’re comfortable without support, then free themes might be perfect for you. 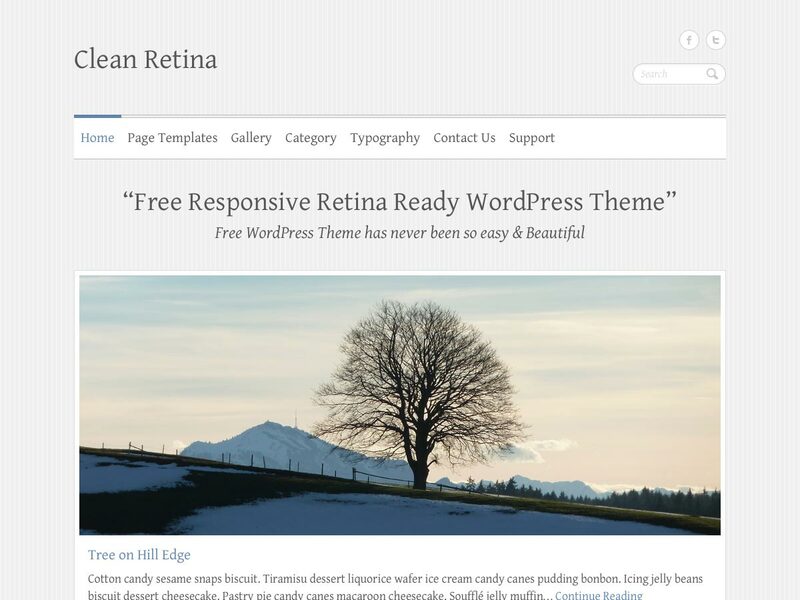 Clean Retina is a simple, clean theme that’s Retina-ready and has a responsive design. It’s customizable with a number of theme options, as well as nine home page layouts, five post layouts, and more. 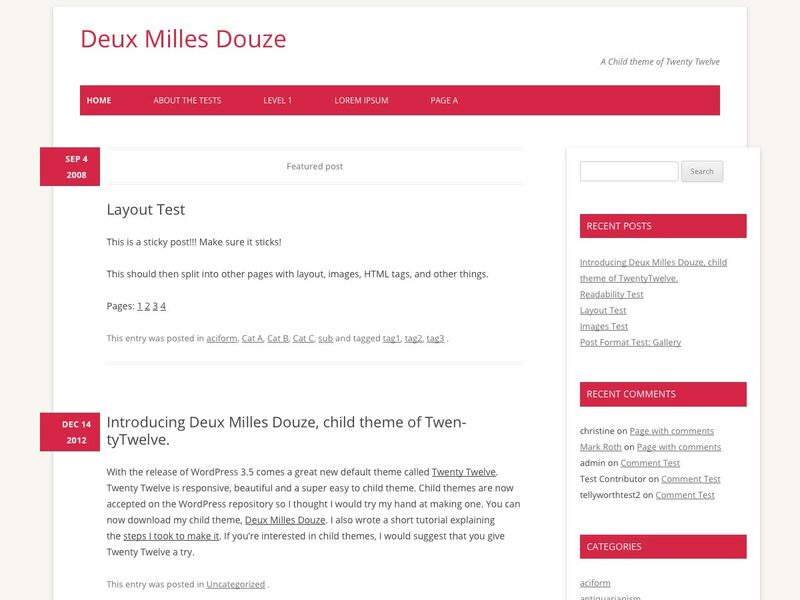 Deux Milles Douze is a Twenty Twelve child theme with some changes primarily to the color scheme and layout. 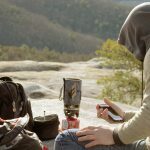 Photologger is a clean, spacious theme suited perfectly for photoblogs. It allows for a custom background and custom header image, as well as the ability to link to your YouTube, Facebook, and Twitter pages, among other features. 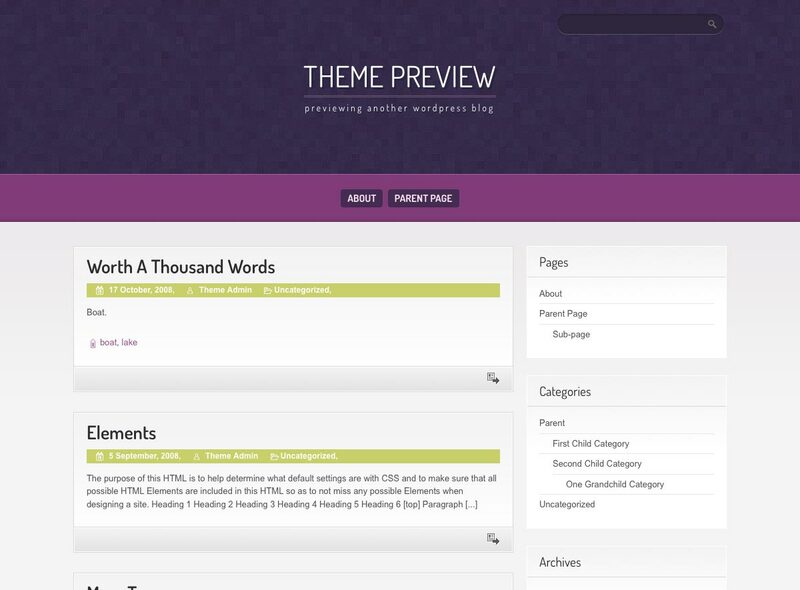 Purple Pro is a widgetized, light, SEO-optimized theme with modern details. It supports custom menus in the header and footer. 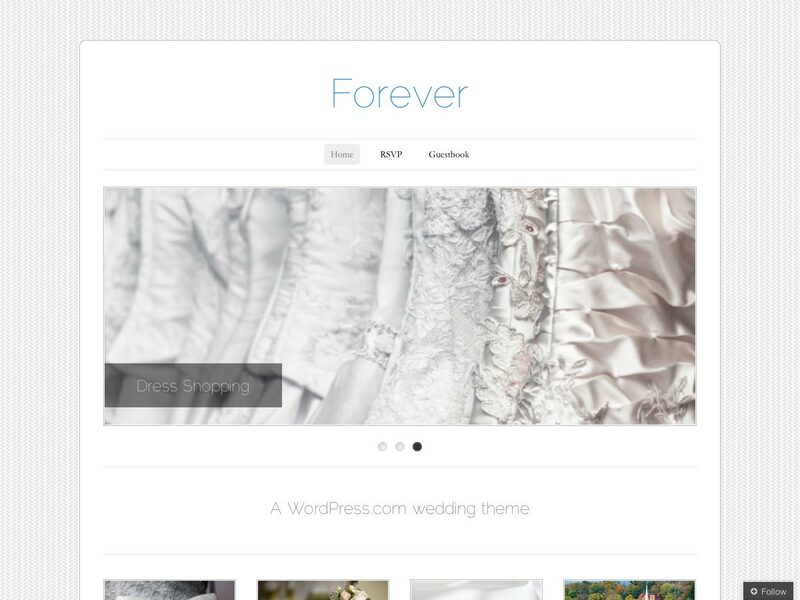 Forever is a theme built for wedding sites, perfect for showing off photos and highlighting important details. It has a simple, minimalist design. Chalkboard is a whimsical theme reminiscent of classic school chalkboards, complete with bottom-resting chalk and eraser. Appliance is a minimalist, clean theme that’s great for magazines, portfolios, and blogs. Sukelius Magazine is a modern news/blog theme with a content slider, five widget areas, flexible footer widgets, multiple layouts, and more. 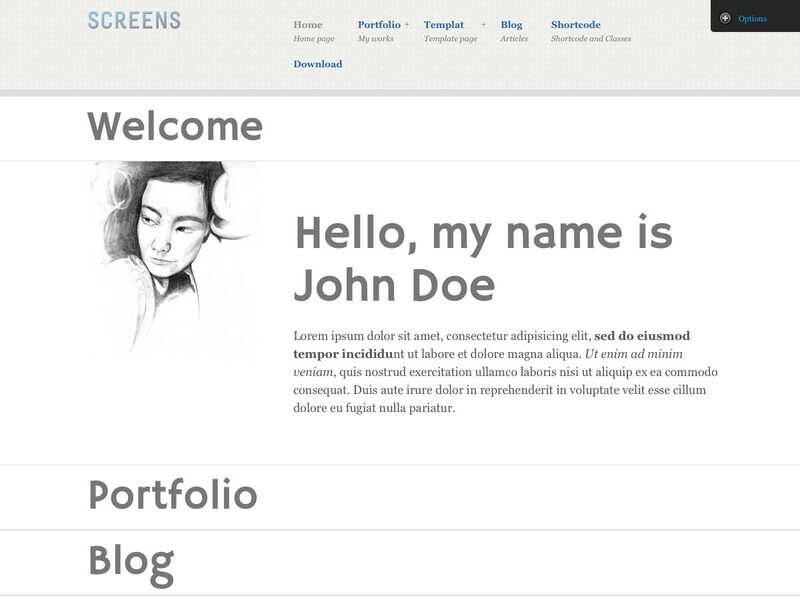 Screens is a simple theme with an accordion effect on the home page. 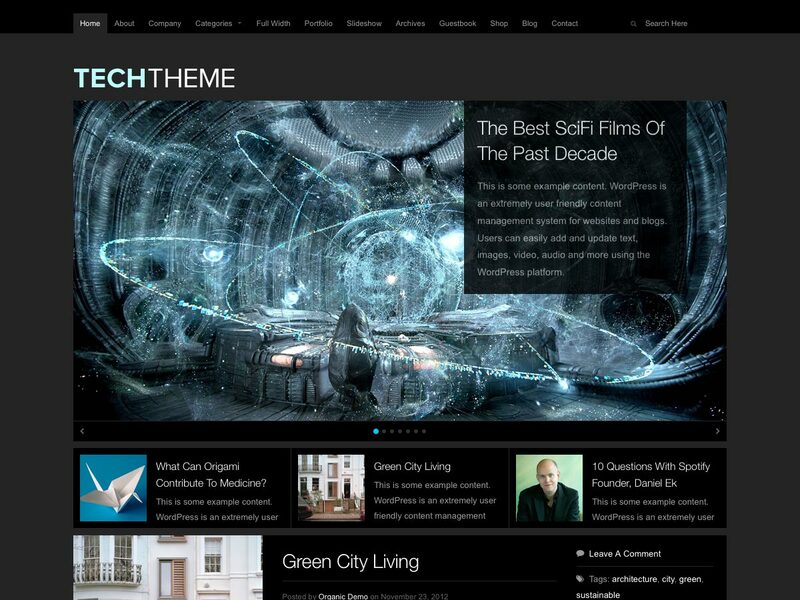 It has tons of theme options available, including predefined skins, lightbox themes, and more. 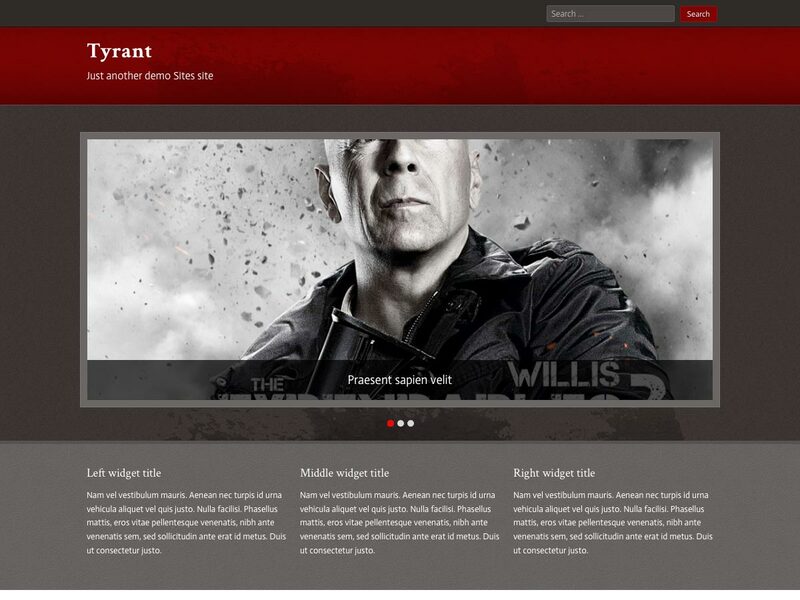 Spun is a lightweight, responsive theme with hidden navigation and other elements, and an optional three-column footer. The featured images on the home page include interesting animation effects. Stitch is a clean and modern responsive theme with custom drop-down menus, a custom header and background, and multiple post formats. 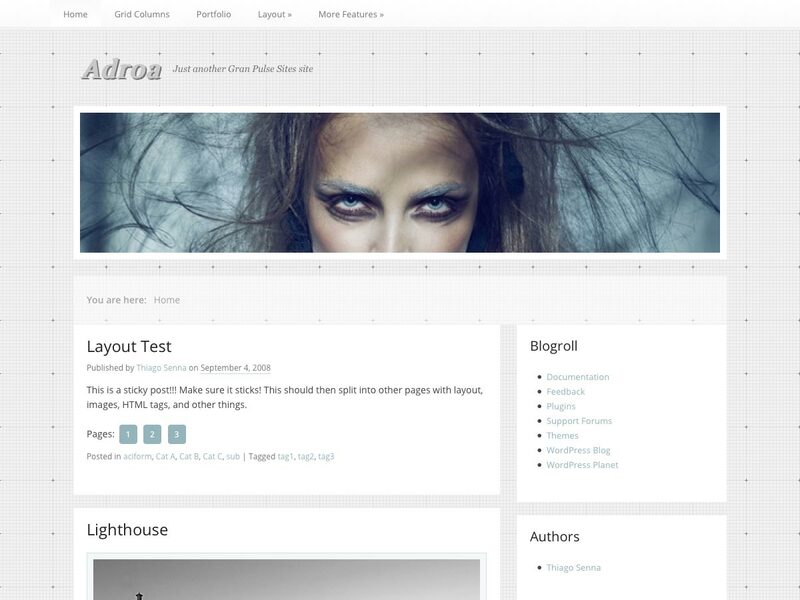 Adroa is a great theme for photographers and photobloggers alike to show off their images and portfolio. 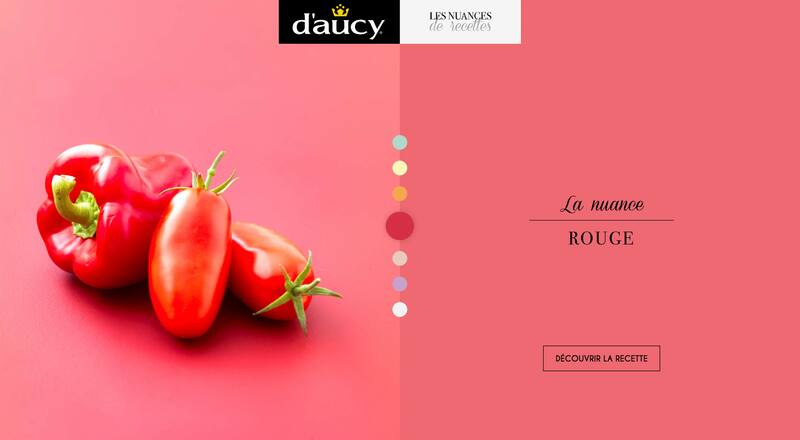 It has a clean design with a grid background and subtle colors. Noteworthy is a magazine style theme with a heavy focus on featured images, and is an homage to the design of USAToday.com. 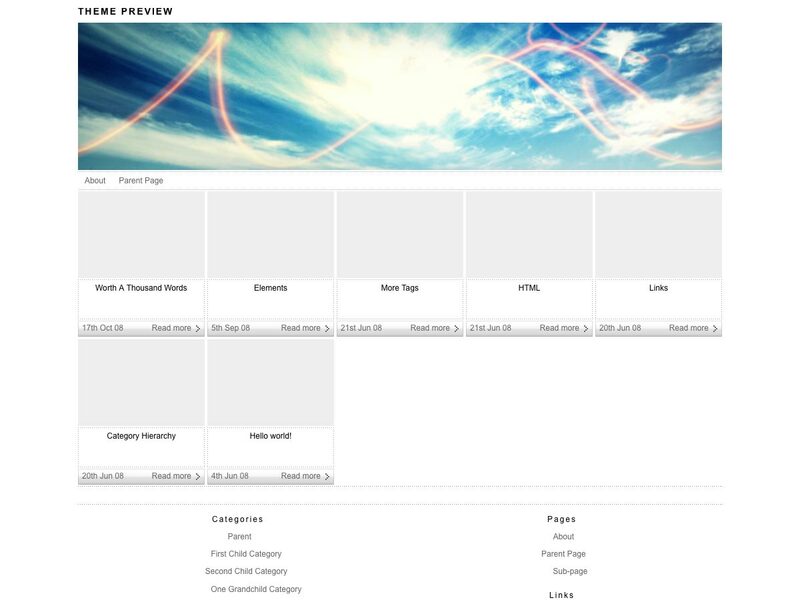 It supports the usual WP features, including custom menus and widgets. 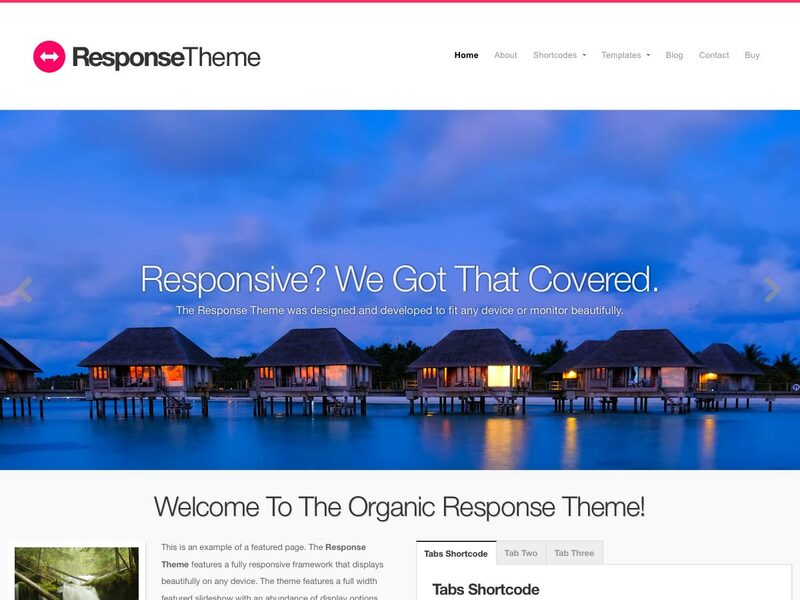 Design is a fully responsive theme with more than 100 theme options and features. It’s built with CSS3 and HTML5, includes custom header and background functionality, and has both a front page template and a full width template. Semper Fi Lite is a newspaper-inspired theme with detailed shadowing and paper textures. It’s fully responsive from 300 pixels wide to 1920 pixels wide and beyond. 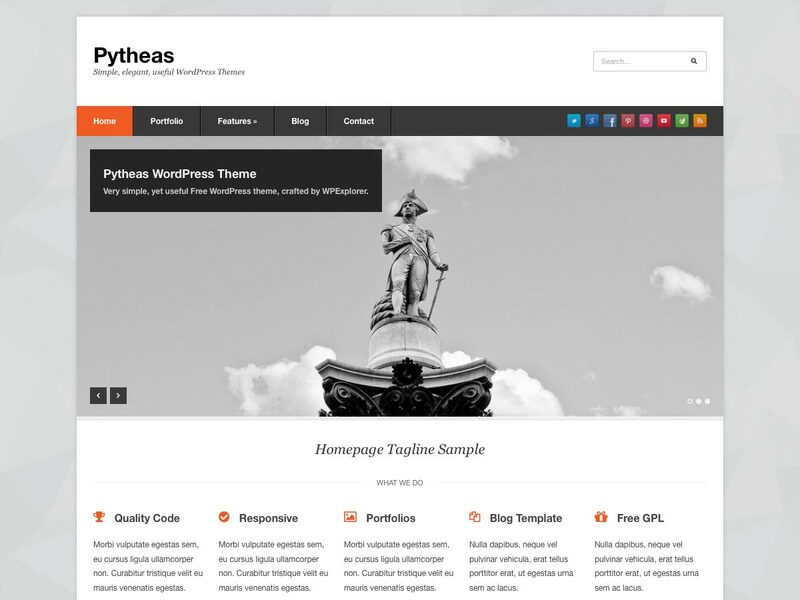 Pytheas is a responsive corporate/portfolio theme. 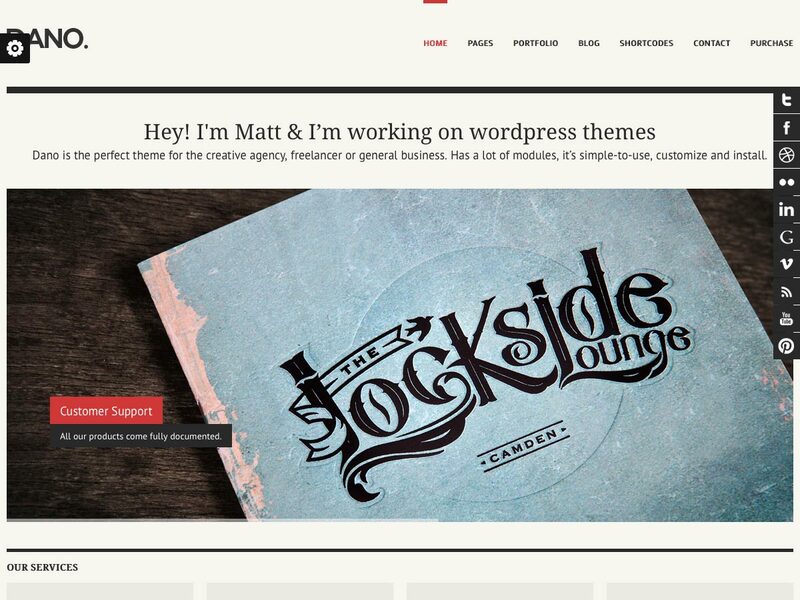 It has a minimal design and is great as a starter theme or for small websites. 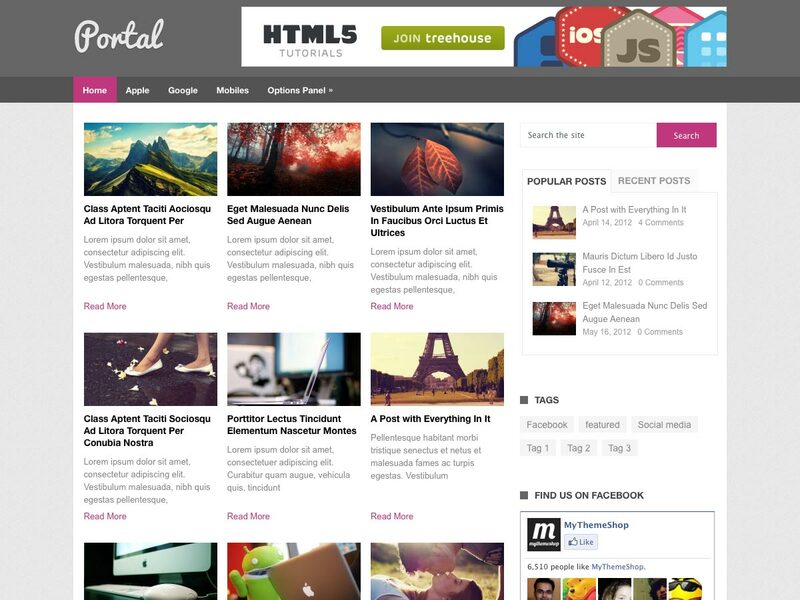 Portal is a simple magazine and blog style theme with bright colors. It has a responsive layout, custom widgets, and more. 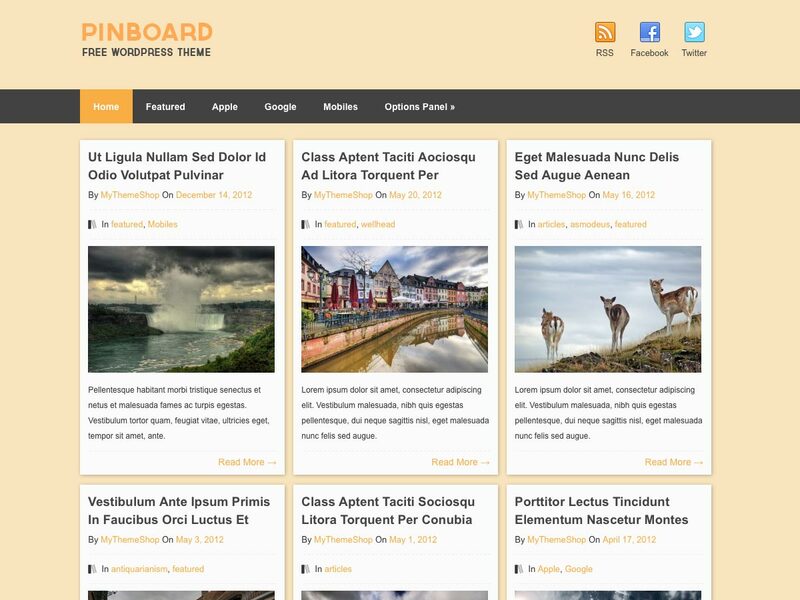 Pinboard is a responsive Pinterest-style theme with a grid layout. It was unlimited backgrounds and color schemes, and is completely customizable. 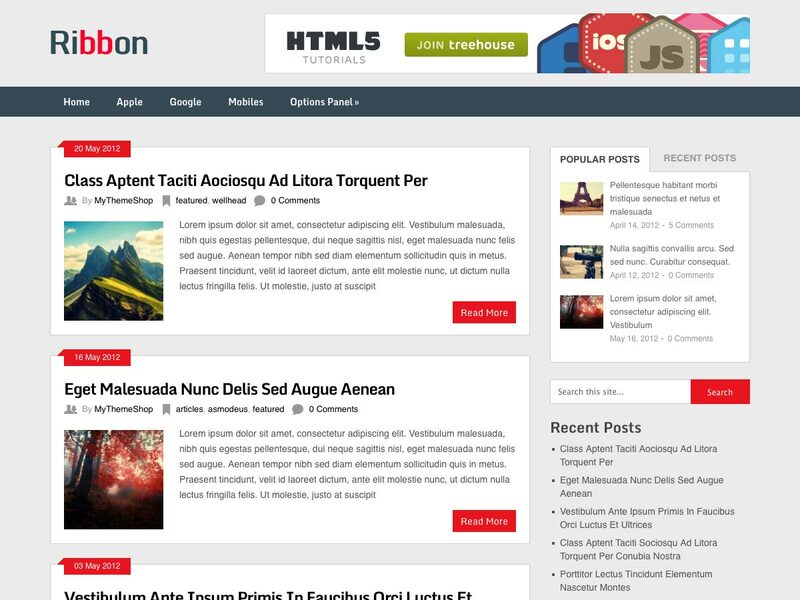 Ribbon is a responsive, traditional-style magazine theme with a dual color scheme and lots of white space around your content. It’s great for general and niche blogs. 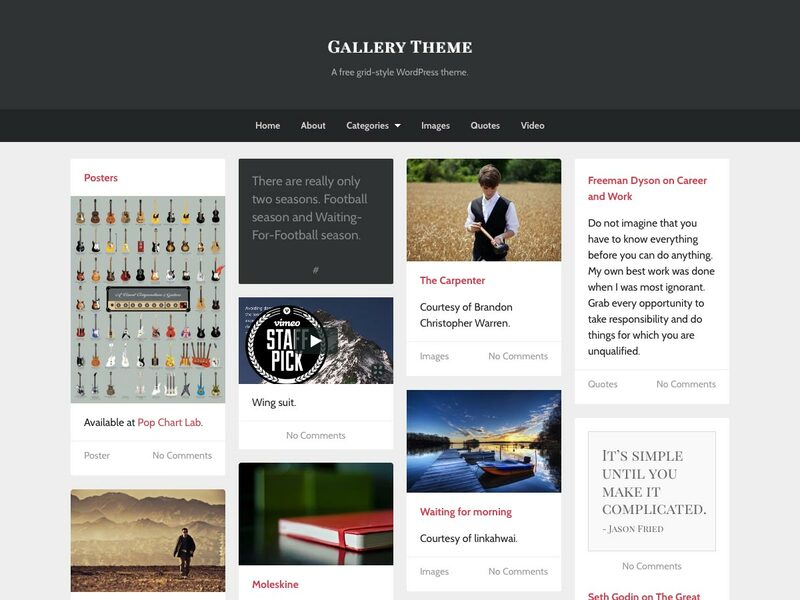 Gallery is a SASS/Compass powered responsive theme with built-in retina support. 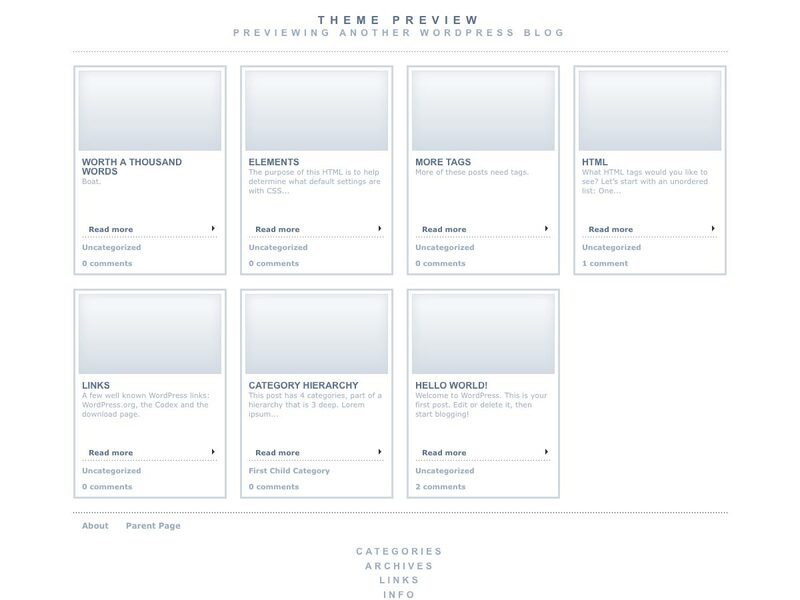 It includes no theme options, allowing you to focus on your content. 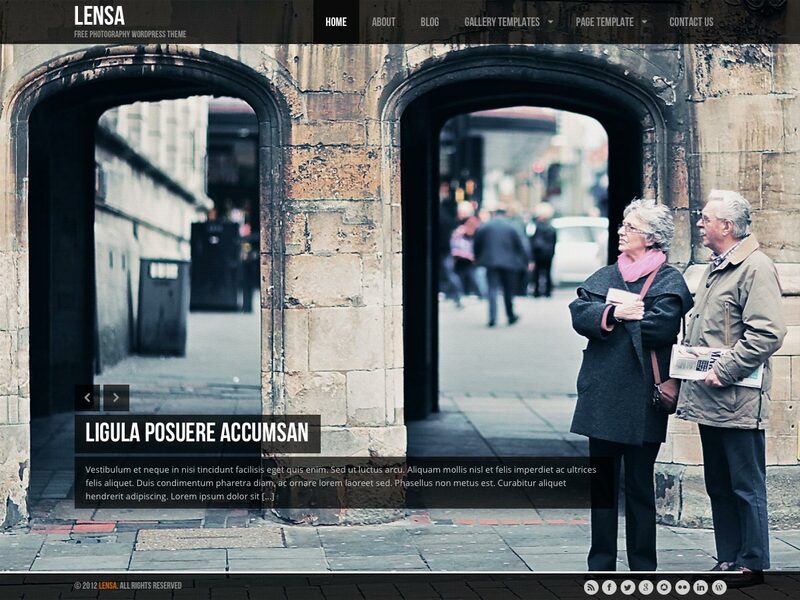 Lysa is a two-column theme with eight color schemes and a ton of great features. It includes automatic post thumbnails, six widget areas, a custom archive layout, and more. 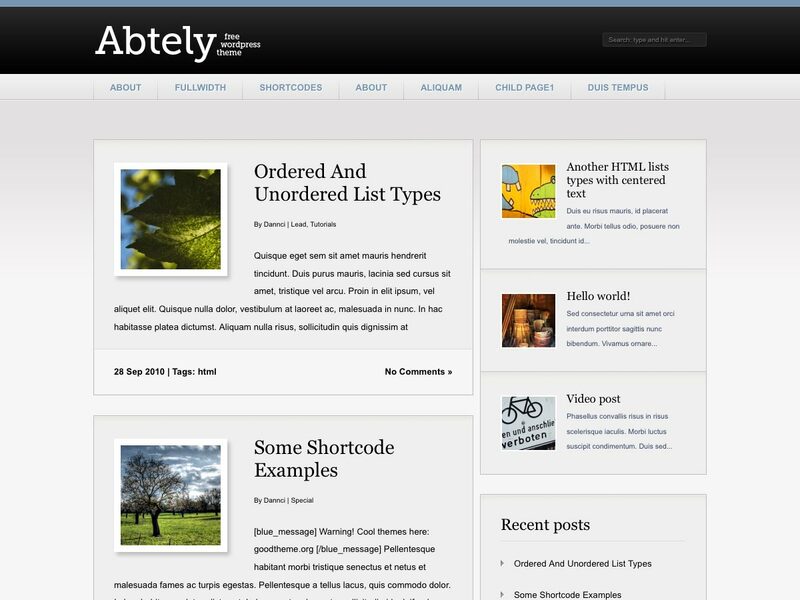 Abtely is an elegant, clean theme with a minimalist design. 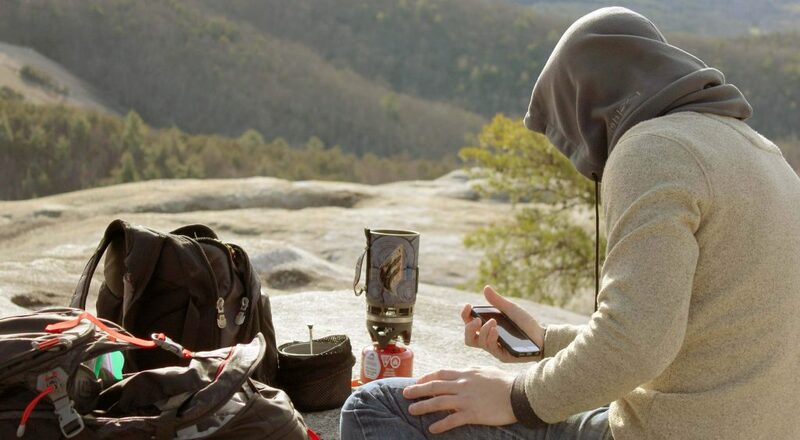 It’s got featured posts in the sidebar, pagination, automatic post thumbnails, and more. gRID! 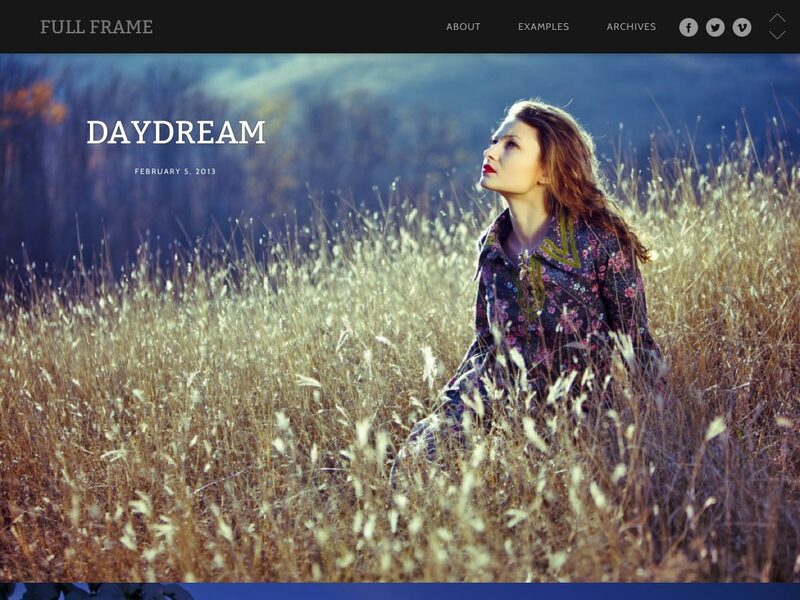 is a dynamic, minimalist theme with a four-column layout and automatic post thumbnails. 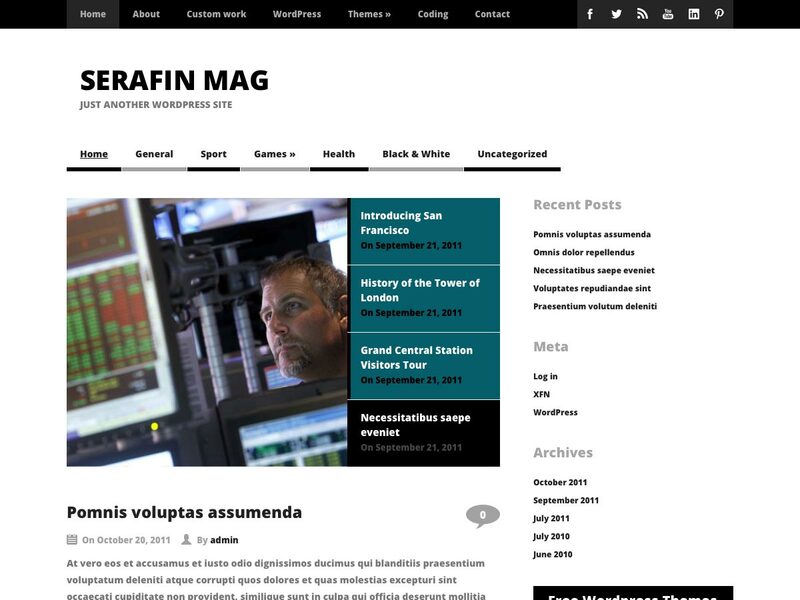 Serafin Mag is a clean theme with a built-in content slider, theme options, and social profiles. It has a 2-column design with 2 nav menu locations. Leponto Mag is a great theme for business or personal sites, with a built-in content slider and support for post thumbnails. 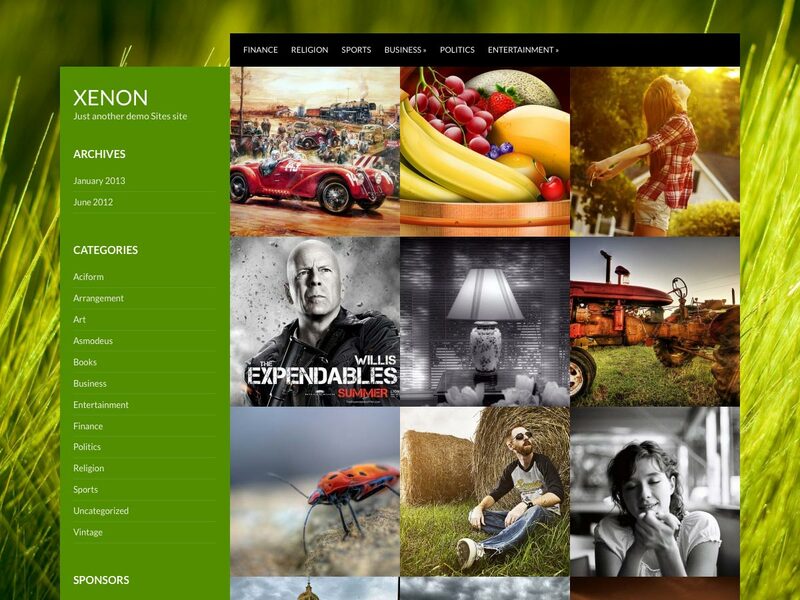 Xenon is a portfolio theme for photography or design sites. 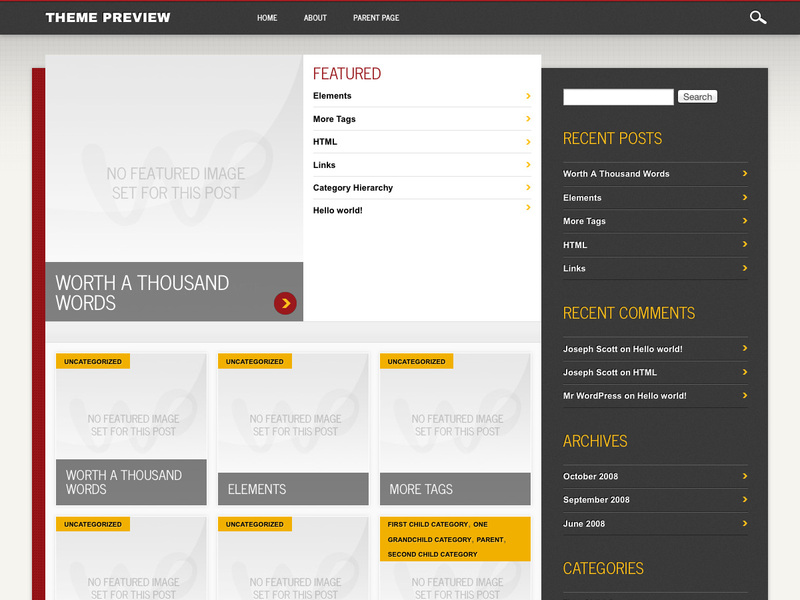 It includes a featured menu, featured thumbnail, custom background, and other theme options. 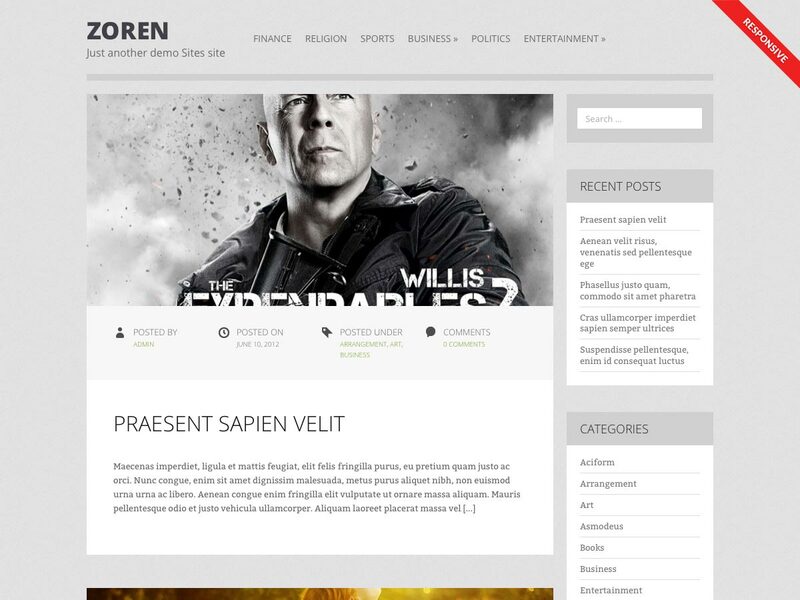 Zoren is a responsive theme with a minimalist design and support for featured images, widgets, and a theme options panel. 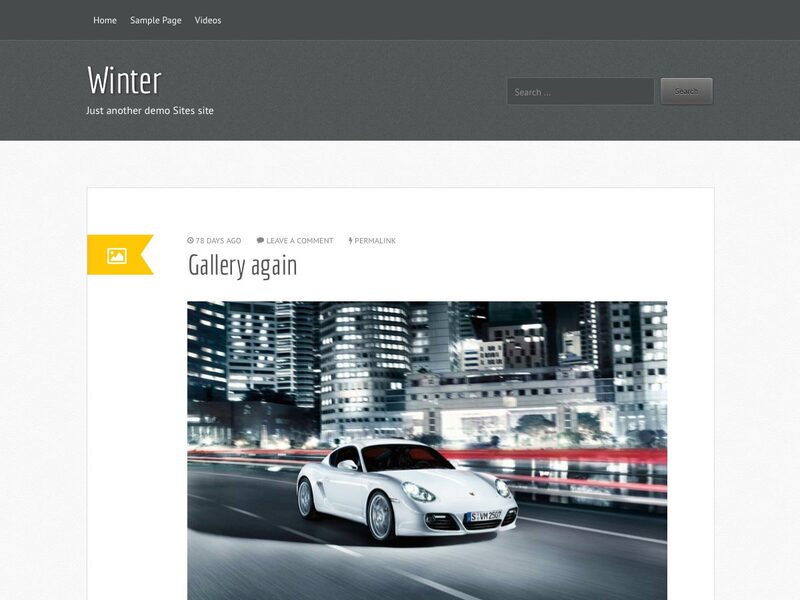 Winter is a tumblog theme with support for custom WordPress post formats for video, audio, image, link, chat, quote, aside, gallery, and standard formats. Pilgrim is a clean, bold theme with support for custom menus, featured images, a widgetized sidebar, and a customizable homepage widgets section. Tyrant has support for homepage widgets, a content slider, and much more. 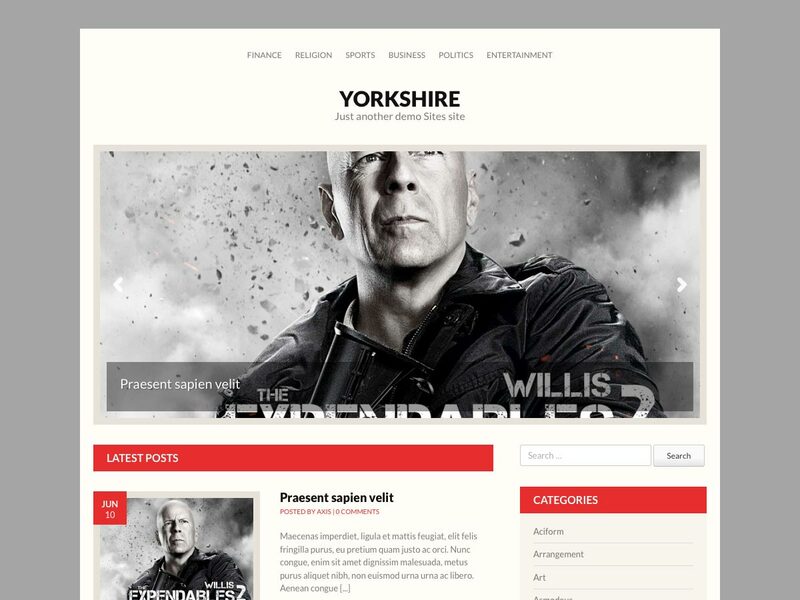 Yorkshire is a magazine-style theme with a featured content slider, custom menu, featured images, and more. The jQuery 3D image slider on the homepage really makes it stand out. 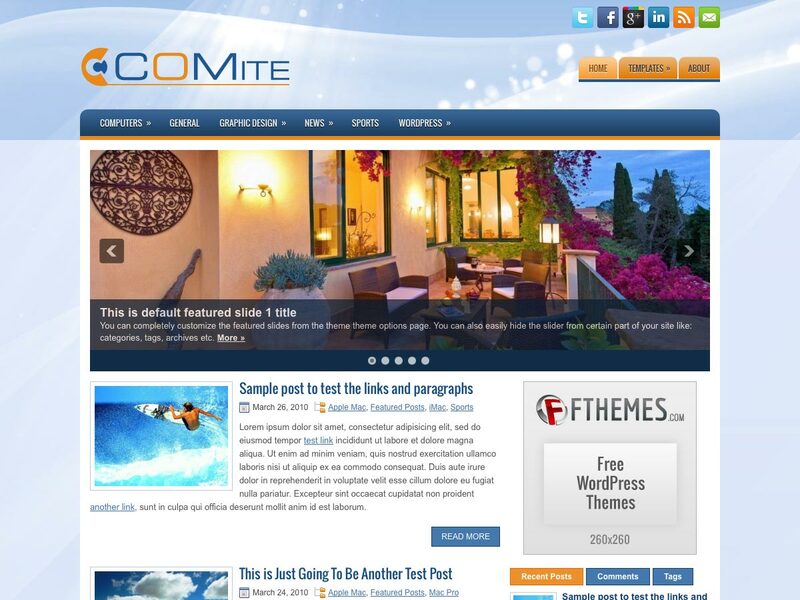 Comite is a general blog theme that’s easily rebranded with just a few clicks. It has an easy-to-use options panel, it’s feature image ready, and more. 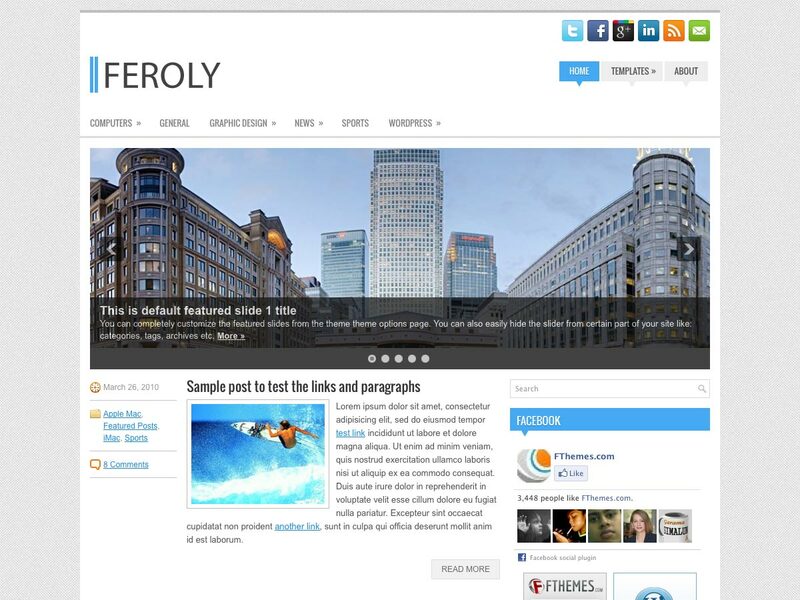 Feroly is a clean, professional theme that includes an easy-to-use options page and support for featured images, among other features. 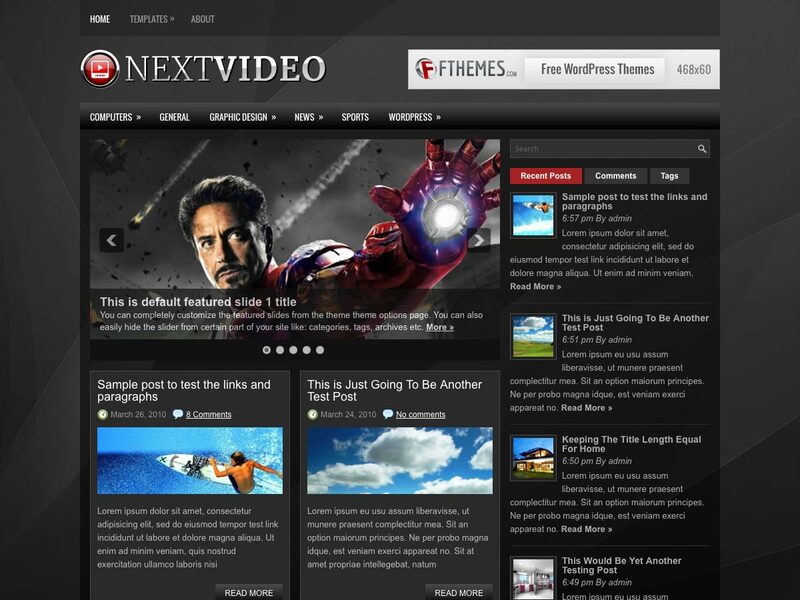 NextVideo is a video theme that includes a featured slider on the home page and two menus with drop-down sub categories. 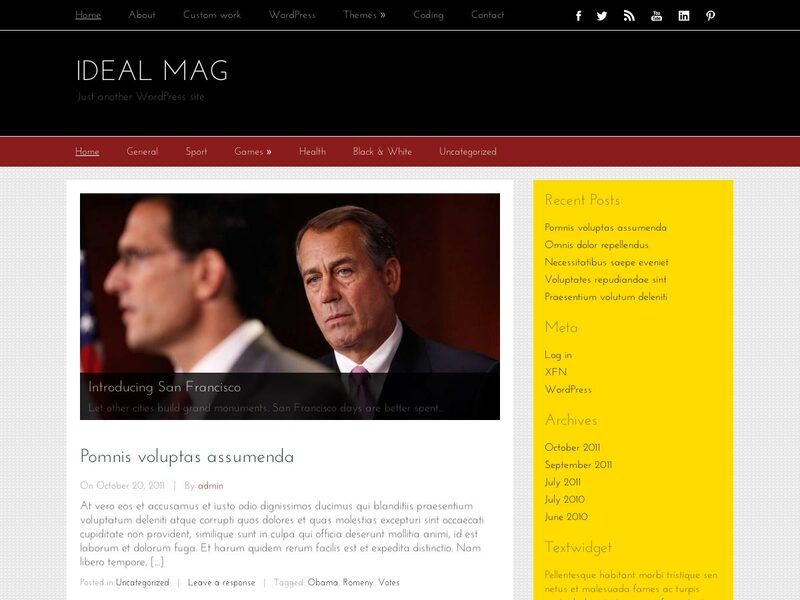 Ideal Mag is a free blog theme with a built-in content slider and theme options, among other features. 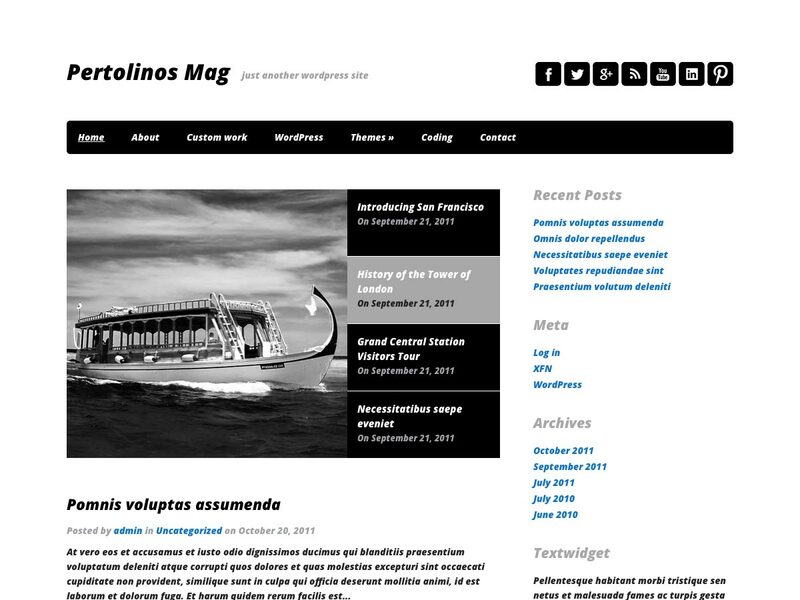 Pertolinos Mag is a clean blog theme with a content slider, theme options, and post thumbnails, among other features. 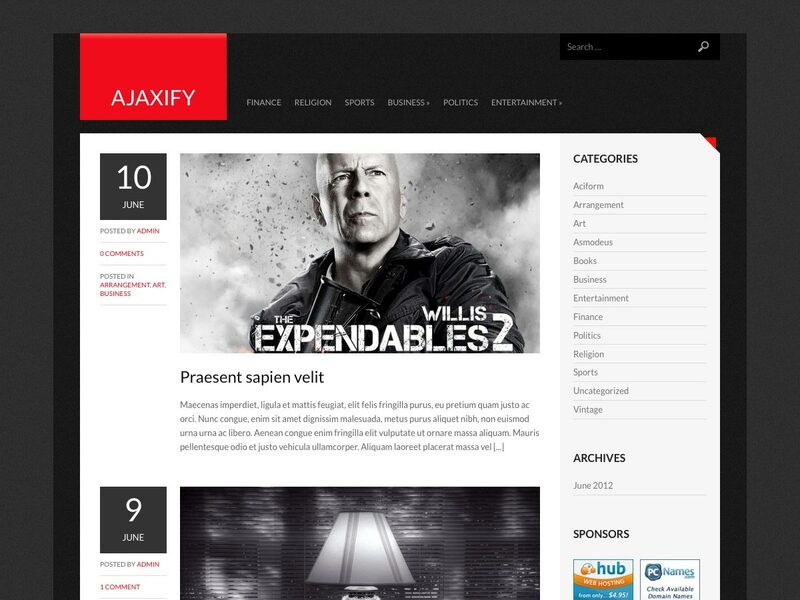 Ajaxify is a fully Ajaxed theme that doesn’t require page reloads to load new content. 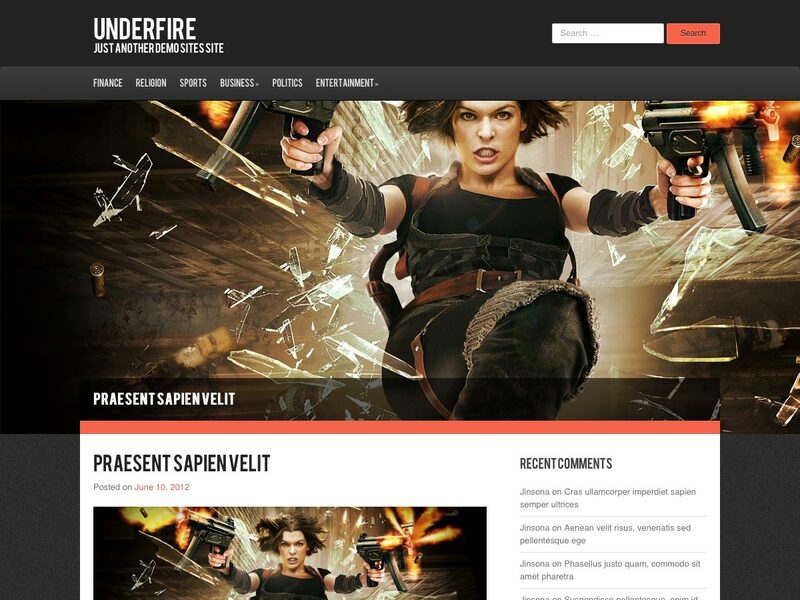 Underfire was designed for use on game and gadget related blogs. It includes a custom menu, featured images, and a jQuery image slider on the homepage. Premium themes sometimes have more features than their free counterparts, but the main place they tend to excel is in developer support. 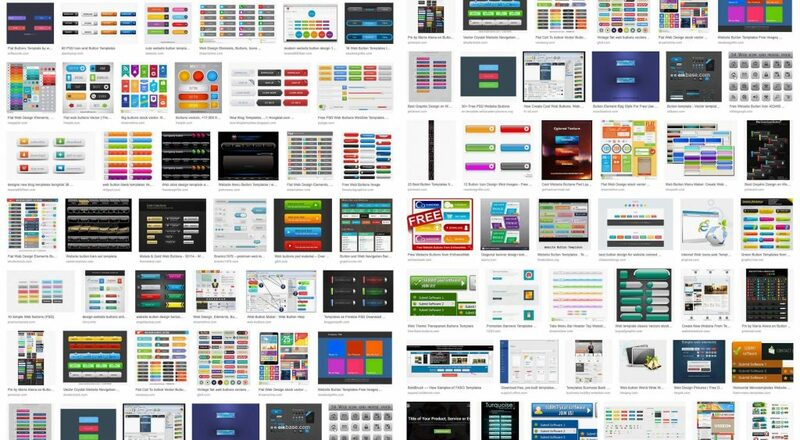 One ongoing trend in premium themes is advanced customization options, sometimes even going as far as drag-and-drop template creation (though there are some free themes that offer the same). Emerald was inspired by the Pantone color of 2013, and has an emerald green and pink color combination with a pretty handwritten script font. 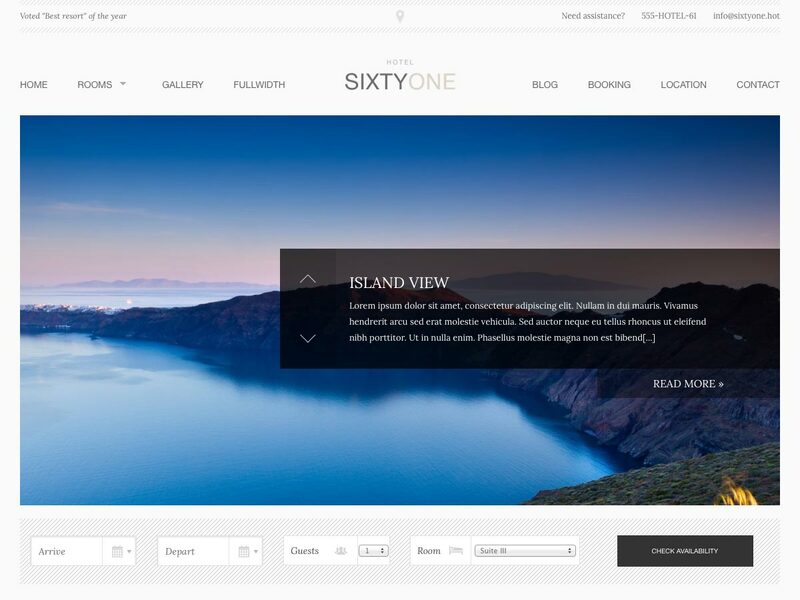 SixtyOne is a responsive hotel and resort theme based on the flexible Foundation grid. It has built-in support for contact pages, galleries, a booking template, and more. 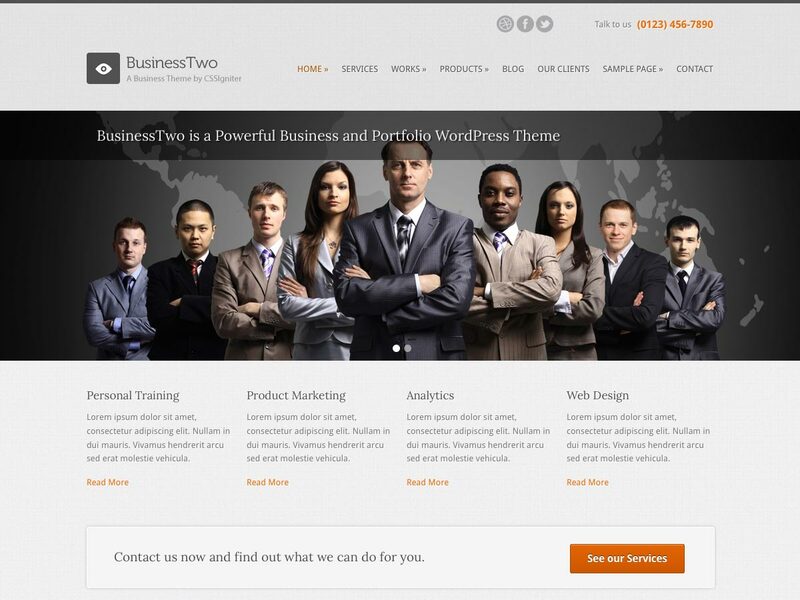 BusinessTwo is a business and portfolio theme that lets you showcase your work, products, clients, services, news, and more. 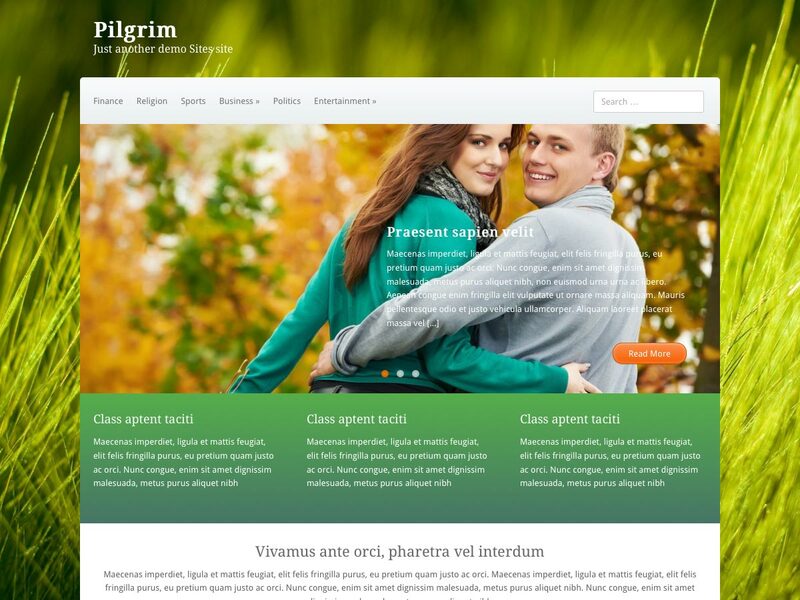 It has support to create up to twelve combinations of custom designed templates, too. 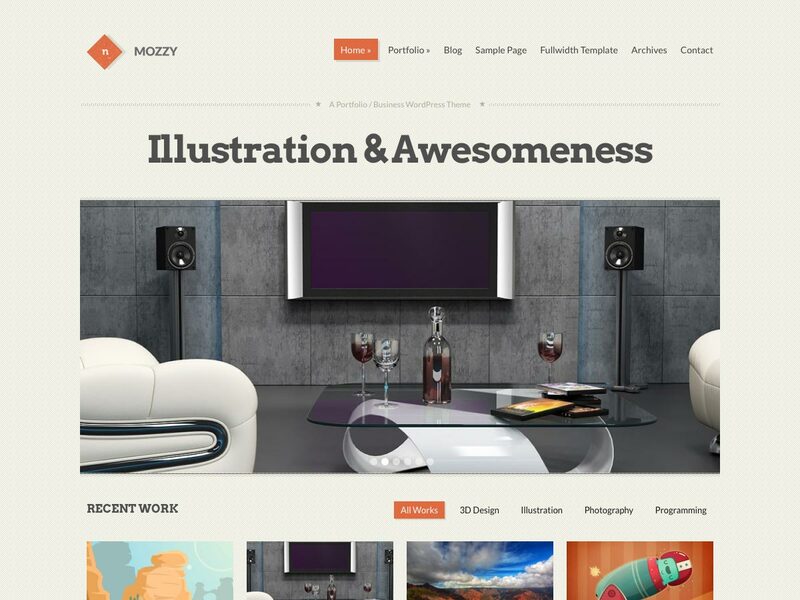 Mozzy is a beautiful, versatile theme that works for portfolios, blogs, and more. 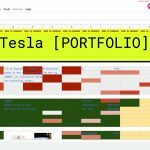 The advanced portfolio feature supports a variety of content types. 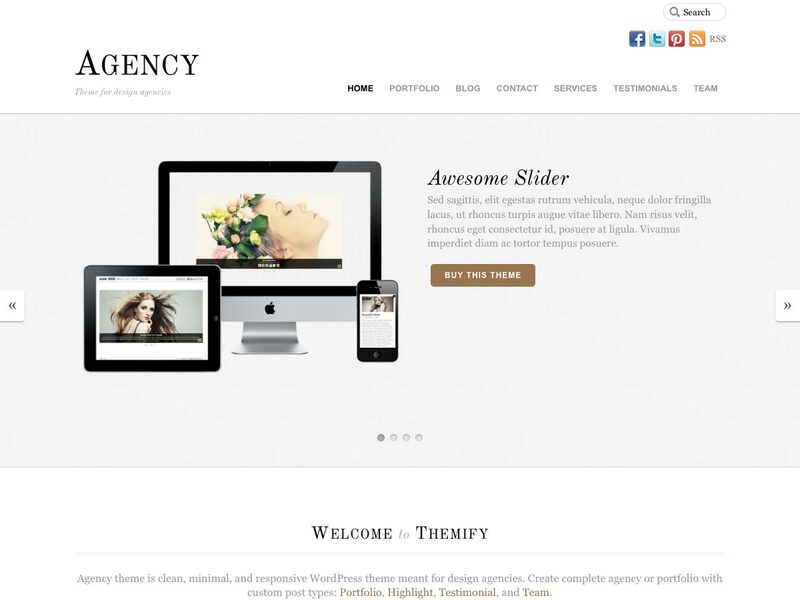 Agency is a clean, responsive WordPress theme for design agencies. 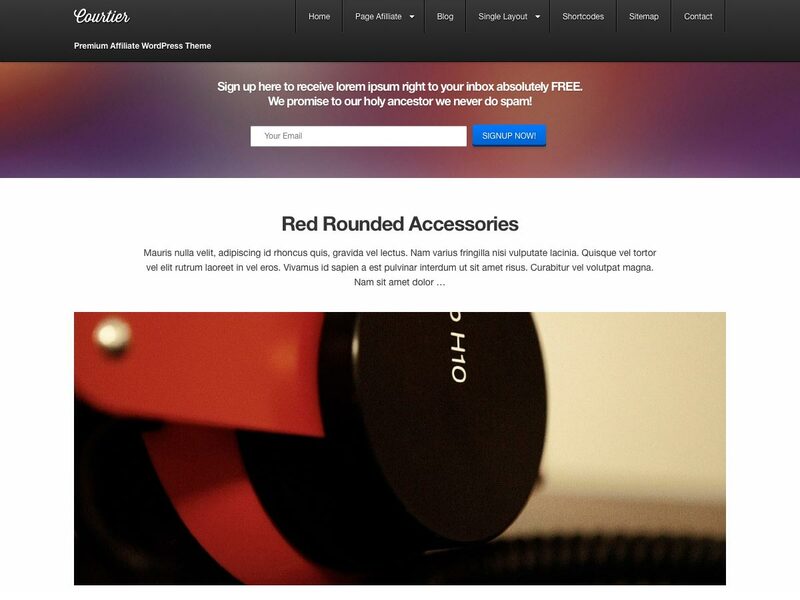 It’s great for showcasing products, and has custom post types for portfolio, highlight, testimonial, and team posts. Response has a responsive framework and minimal design, and is Retina optimized. It includes shortcodes, page templates, social media buttons, and much more. 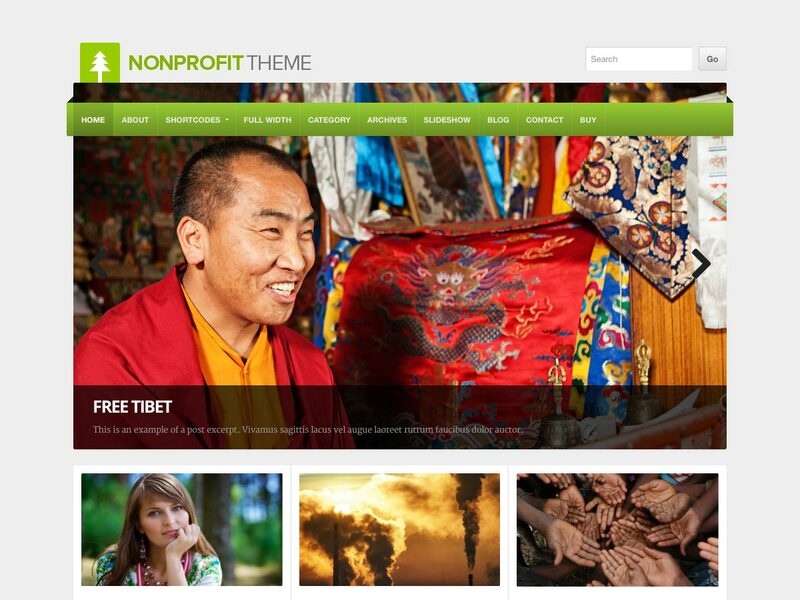 Non-Profit is a great theme for business, particularly non-profits and environmentally-focused organizations. It has a clean and inviting design, with a versatile home page layout. Full Frame was designed to show off big images, galleries, and videos, making it perfect for portfolios. It has a responsive design, custom backgrounds and headers, and a theme customizer. 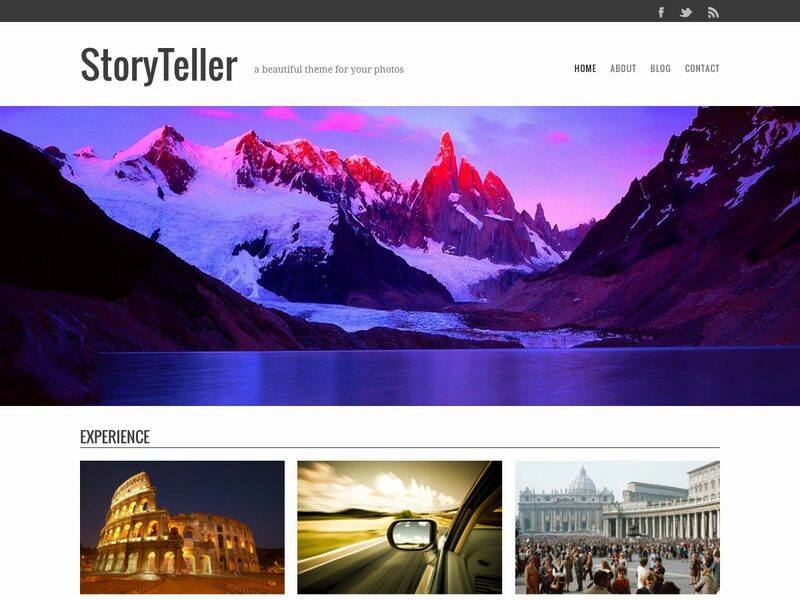 Storyteller is a responsive theme with support for slideshows, header images, custom fonts, and live customization. 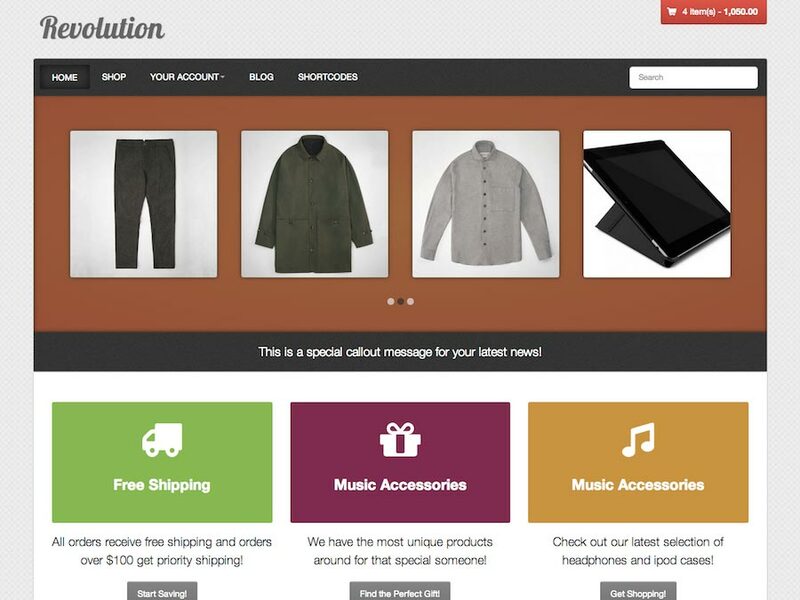 Revolution is a storefront Skematik child theme that includes a homepage carousel. It works with WooCommerce, Jigoshop, and WP e-Commerce. 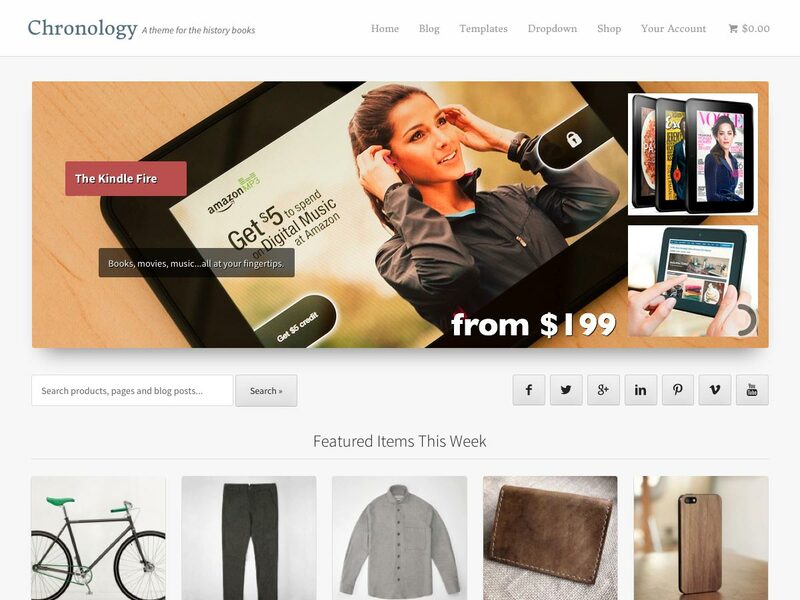 Storefront Chronology is a minimal, elegant theme with a homepage slider, flip style product grid, and more. It’s built on _s, has a completely responsive design, and uses the new WP Theme Customizer for options, among other features. 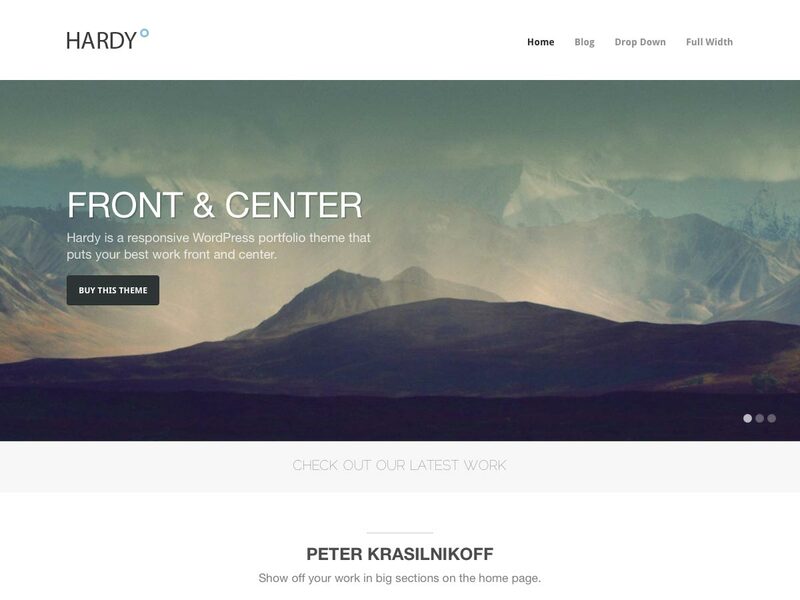 Hardy is a responsive, minimalist portfolio theme with big, customizable areas to showcase your work right on the home page. 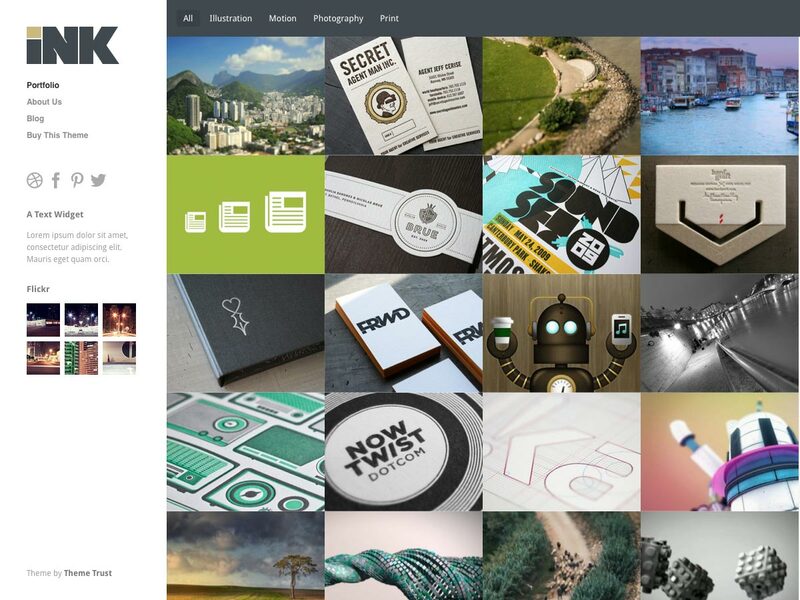 It includes a number of customization options, custom background images for projects, Flickr integration, and much more. 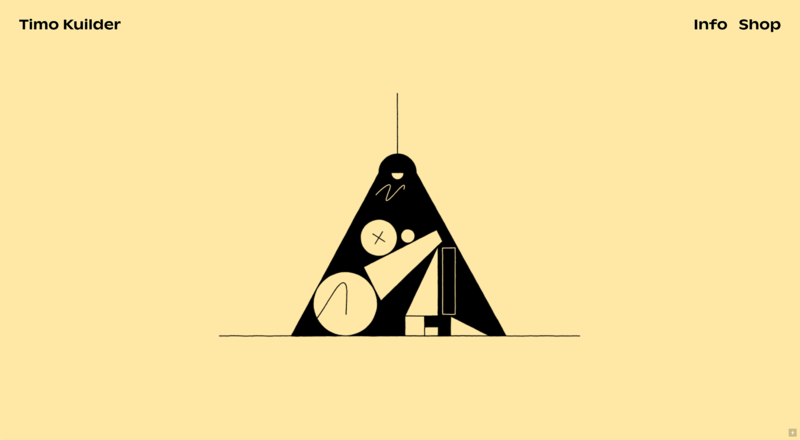 Ink is a simple, clean portfolio theme that adapts to your screen resolution. Each project, post, and page can be given its own personality with full screen background images. 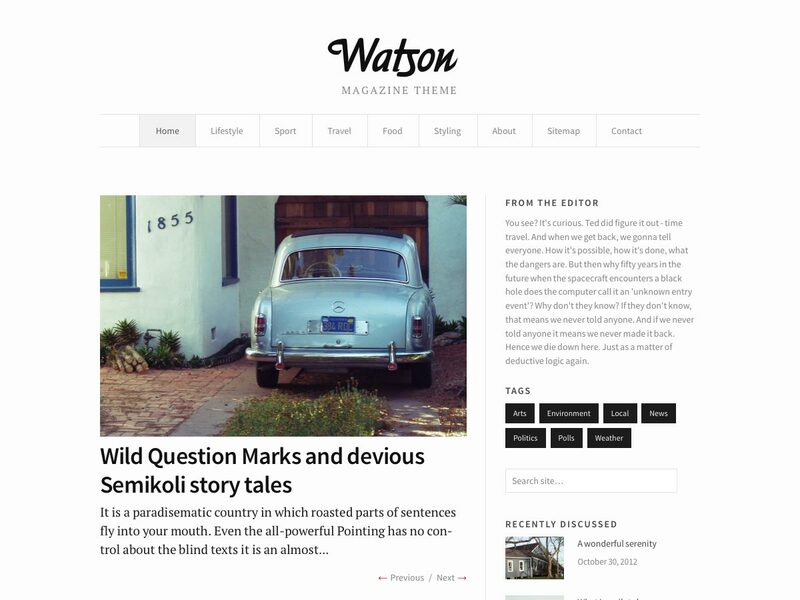 Watson is a refined magazine theme inspired by classical newspaper design. It’s great for photo-heavy sites as well as long-form text content. 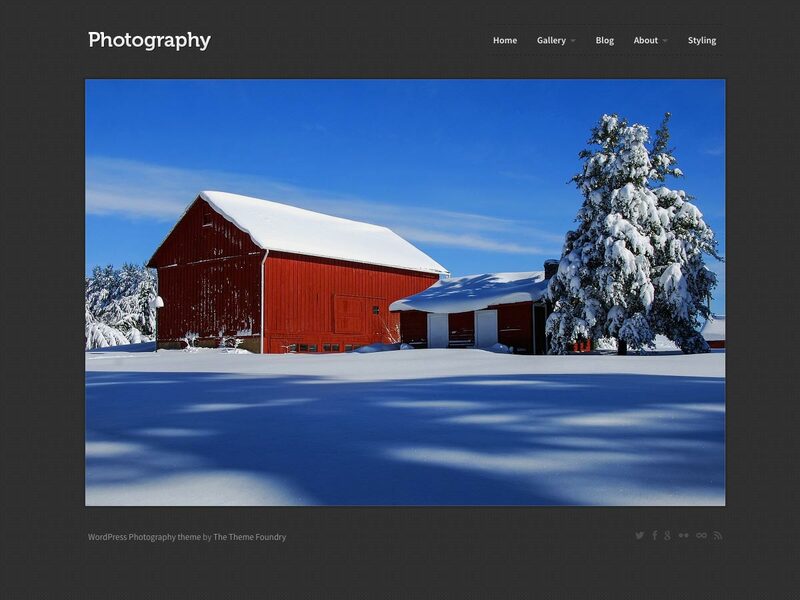 Photography is a clean grid-based theme for photography portfolios, with the focus placed squarely on your work. 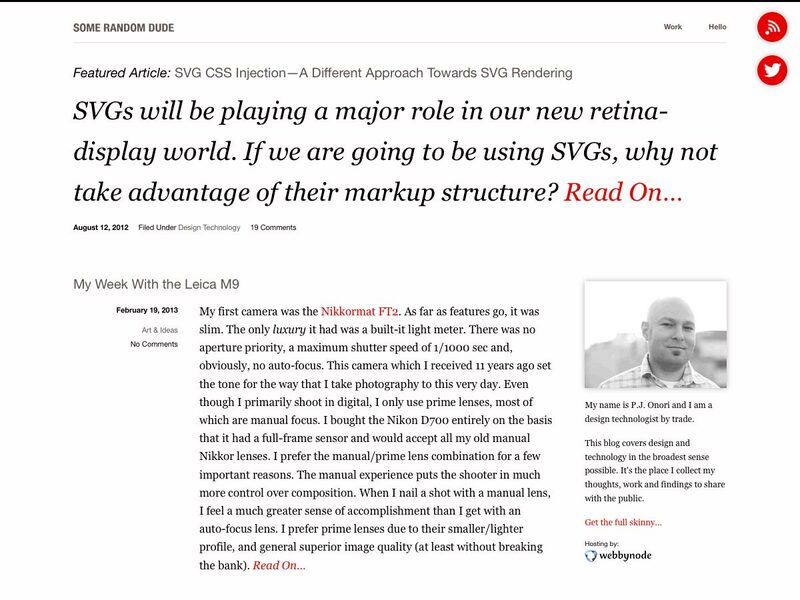 It’s Retina-optimized, built with HTML5 and CSS3, and has a responsive layout. 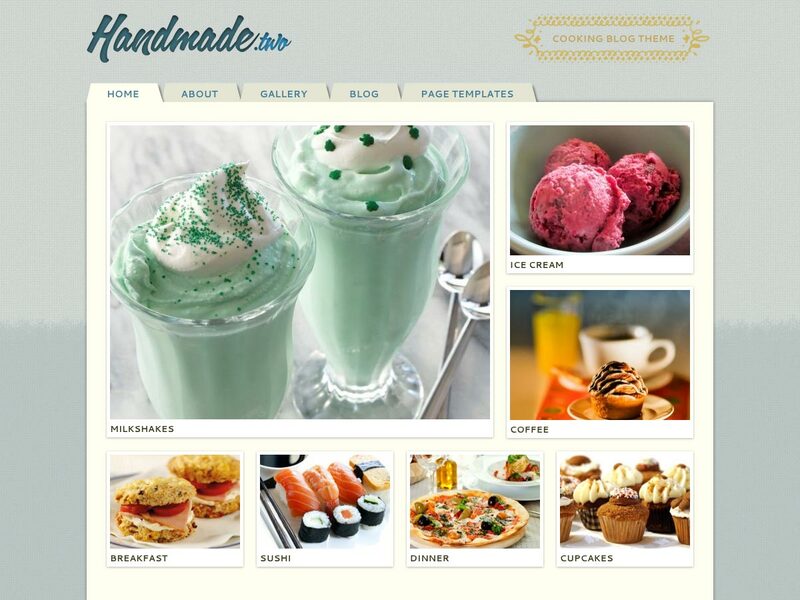 Handmade Two is a blog and eCommerce theme that’s perfect for crafters and foodies. 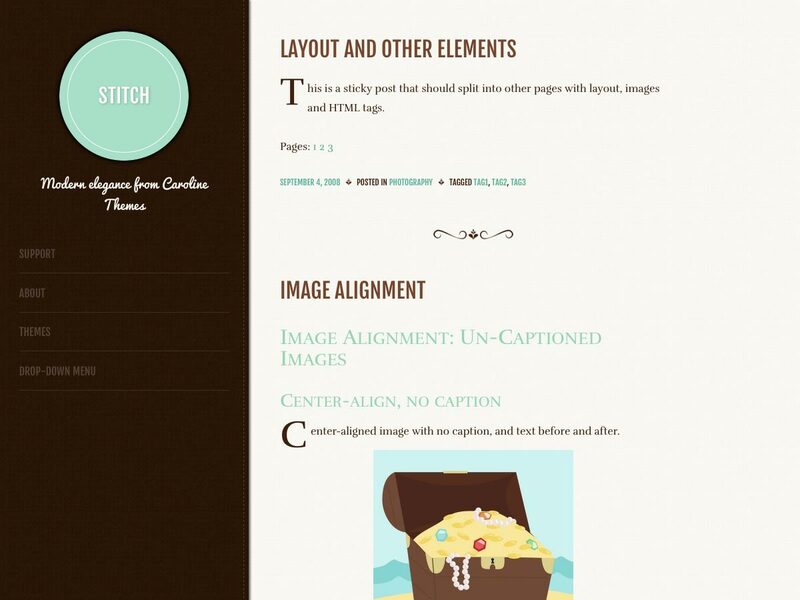 There’s a ton of detail in the theme, from typography to spacing to buttons to borders. 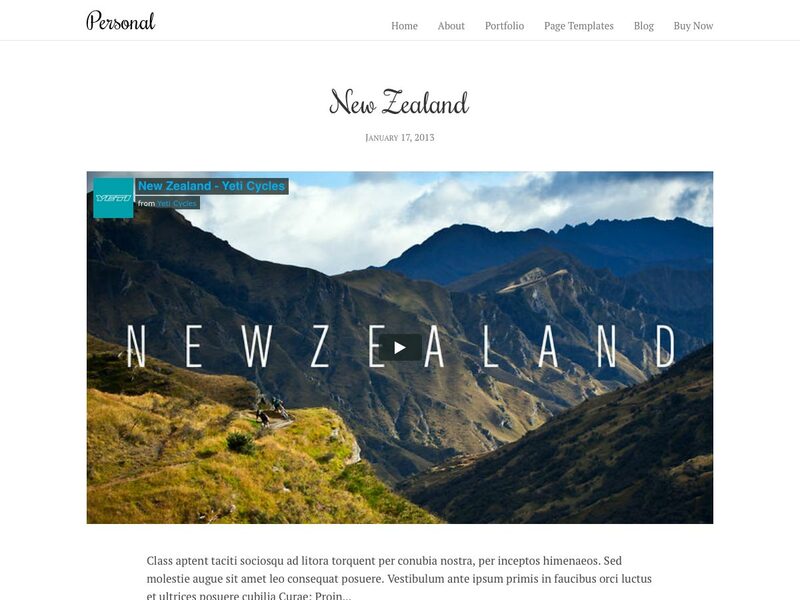 Personal is a customizable theme built for writers, journalists, and bloggers. It’s one of the most minimal and clean themes in the Obox collection. 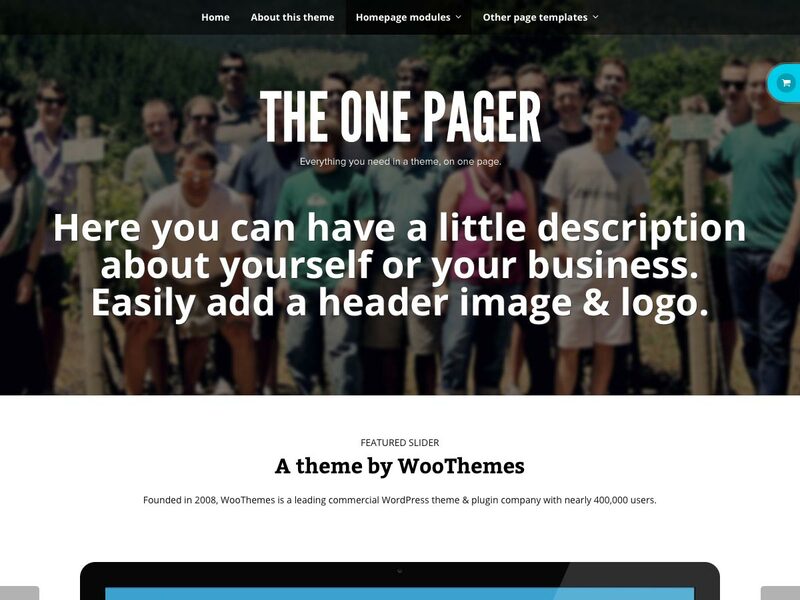 The One Pager is a single-page theme that has customizable modules, with the flexibility to create additional pages if necessary. It has an editable header, custom widgets, and integrates the WooSlider. 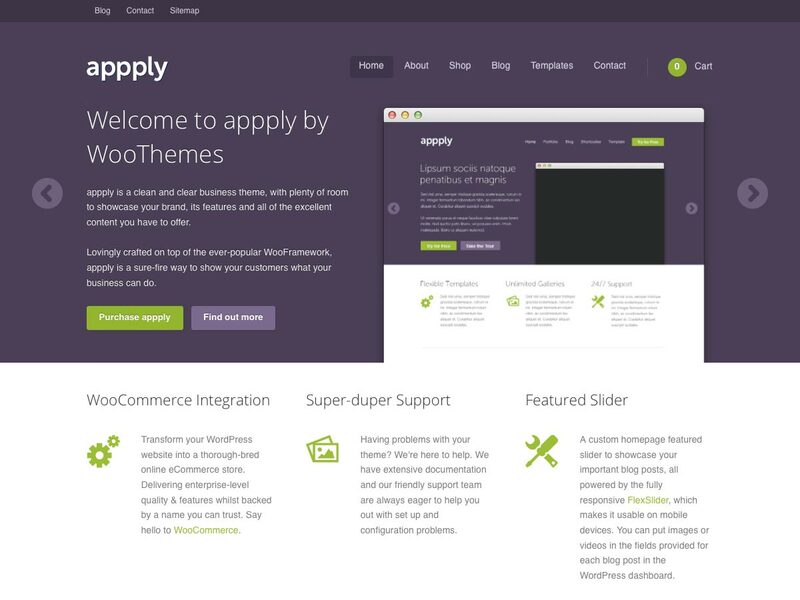 Appply is a bold, spacious theme that can work for blogs, WooCommerce online stores, or even a business site. It has a fully responsive design, a featured slider, custom homepage, introductory message, and more. 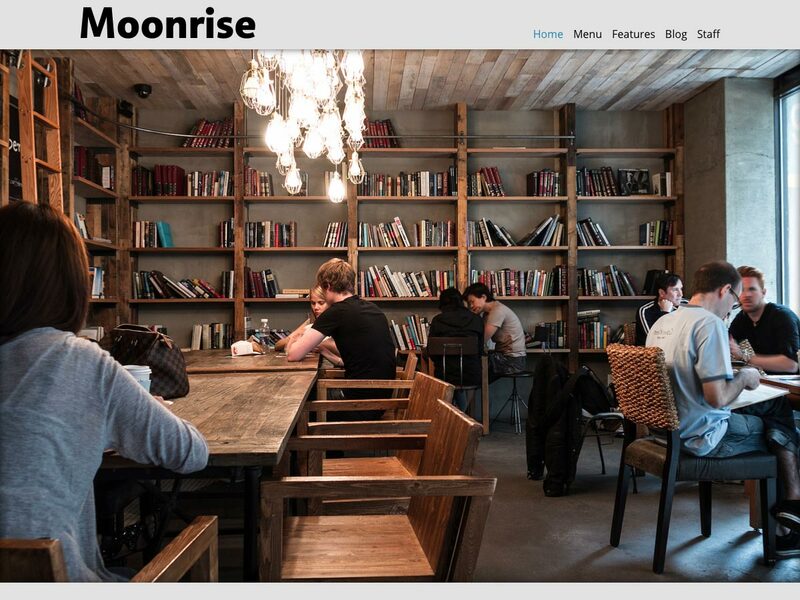 Moonrise is a clean restaurant theme that includes templates for menus, staff introductions, and more. It can be used as either a one-page site or with additional pages and a blog, and would be suitable for other types of businesses, as well. 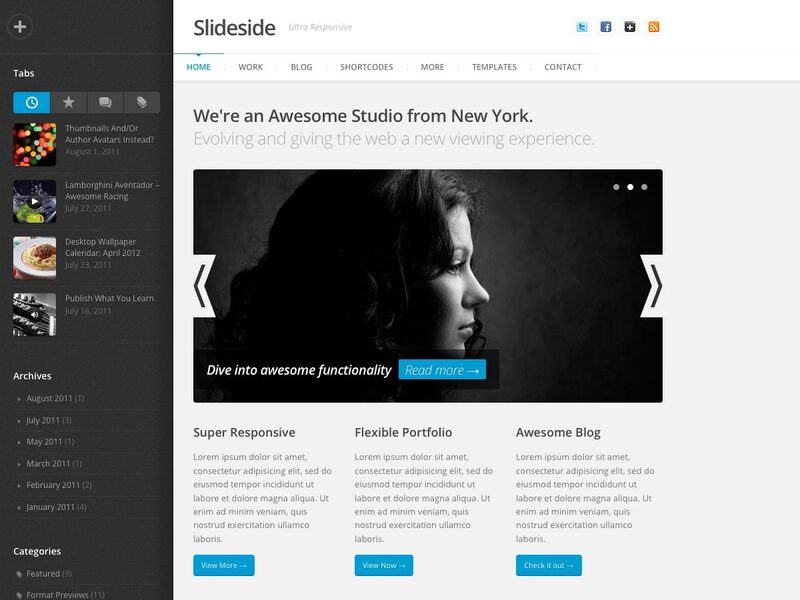 Slideside is a multi-purpose, flexible theme with a unique and creative layout. It scales down beautifully, and includes a toggle sidebar that makes it more efficient on tablets. 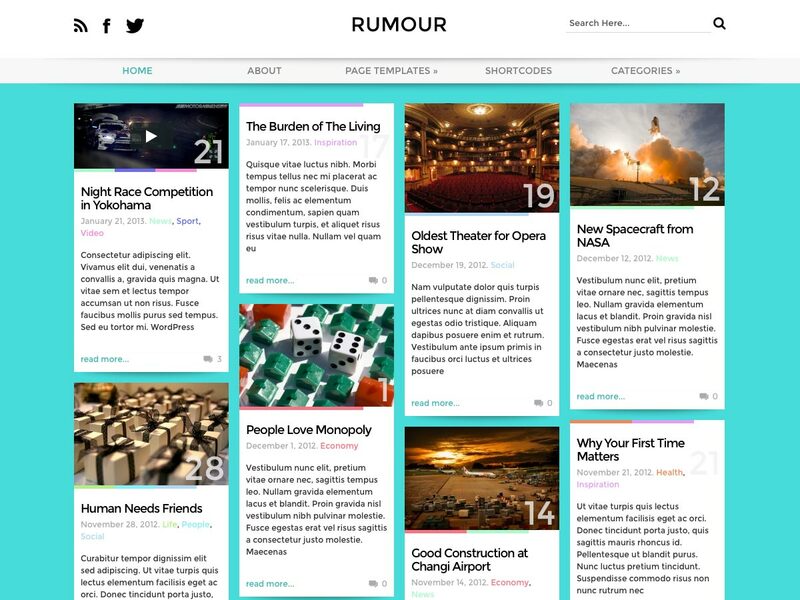 Rumour is a magazine theme with a responsive multi-column layout that rearranges based on screen size. It includes an array of custom options, styles, and widgets, and complete customization options. 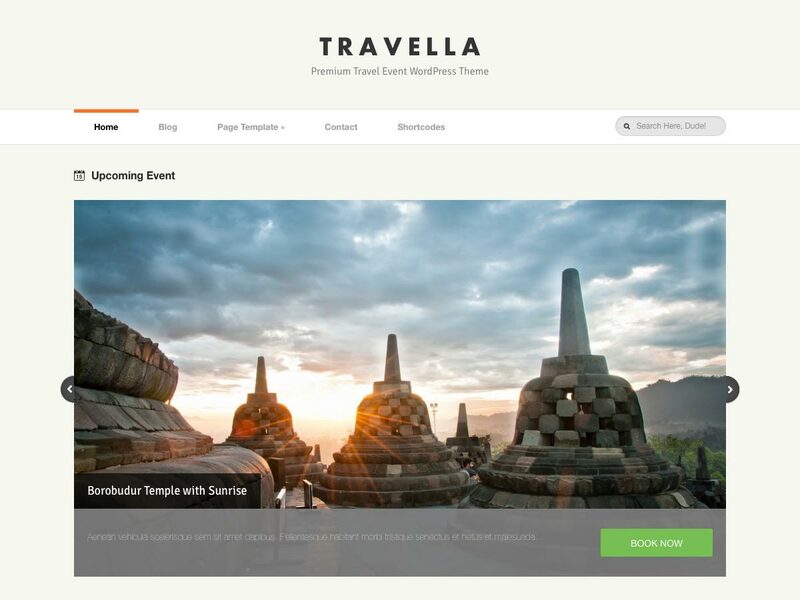 Travella is a great theme for publishing travel experiences, thoughts, and events. It has a clean, minimalist design that’s fully responsive, includes Google Maps integration, and more. 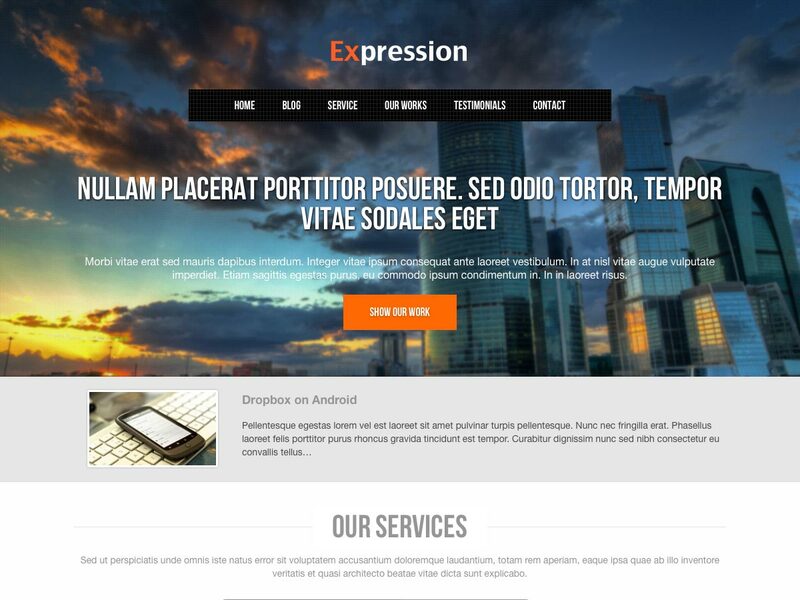 Expression is a full-screen, one-page landing site theme for business. It makes it easy to publish your work, promote your services, and introduce your team members. 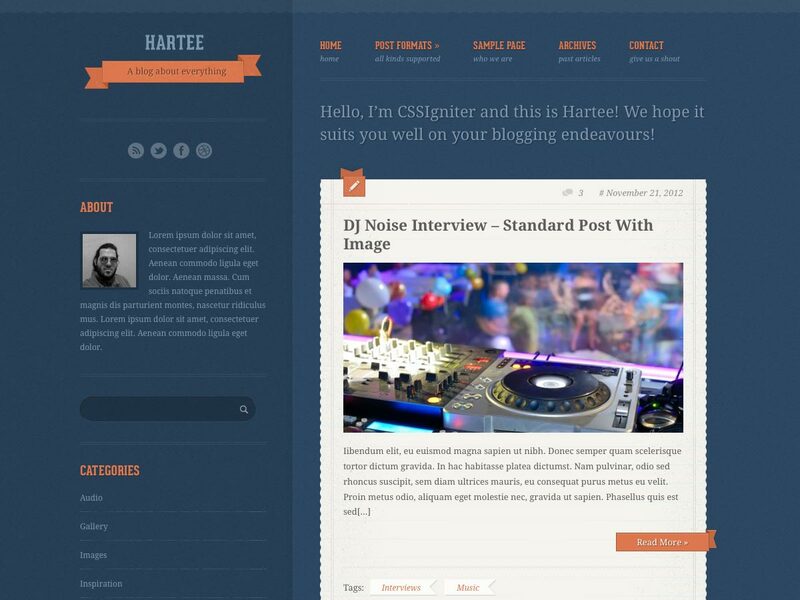 Hartee is a Tumblr-like theme for WordPress. It has a responsive layout, unique color schemes, and the CSSIgniter Theme Panel for options. 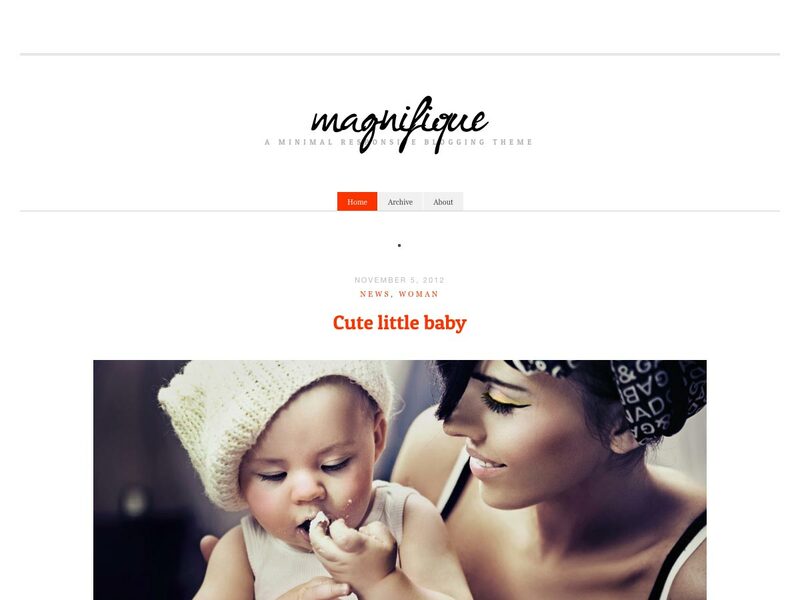 Magnifique is a minimalist responsive theme specifically for blogging that eliminates things like sidebars, widgets, and complex settings. It has unlimited color schemes and plenty of theme options for customization. 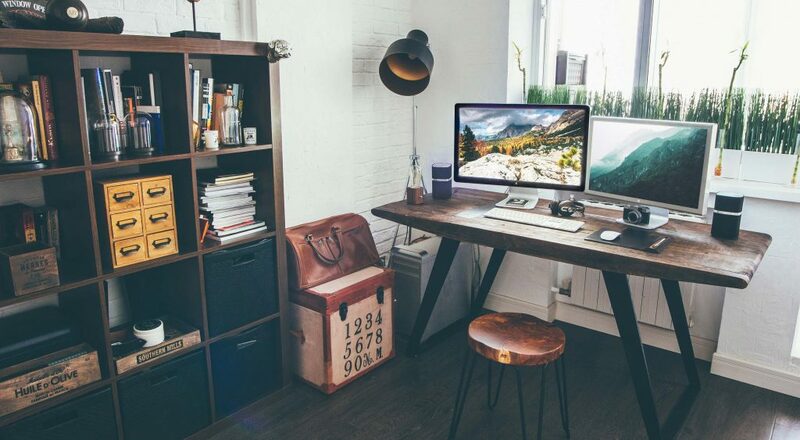 Tech is perfect for technology sites, and can work as a traditional blog, a business site, or even a video portfolio. 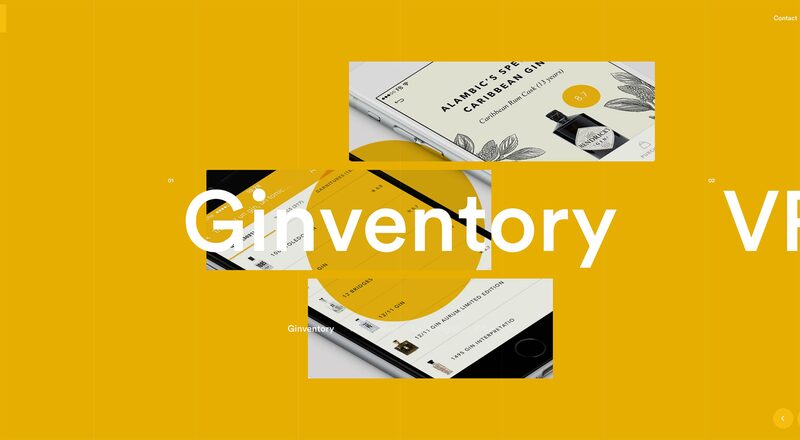 It’s built on a responsive framework, includes portfolio and slideshow templates, and is even WooCommerce compatible. 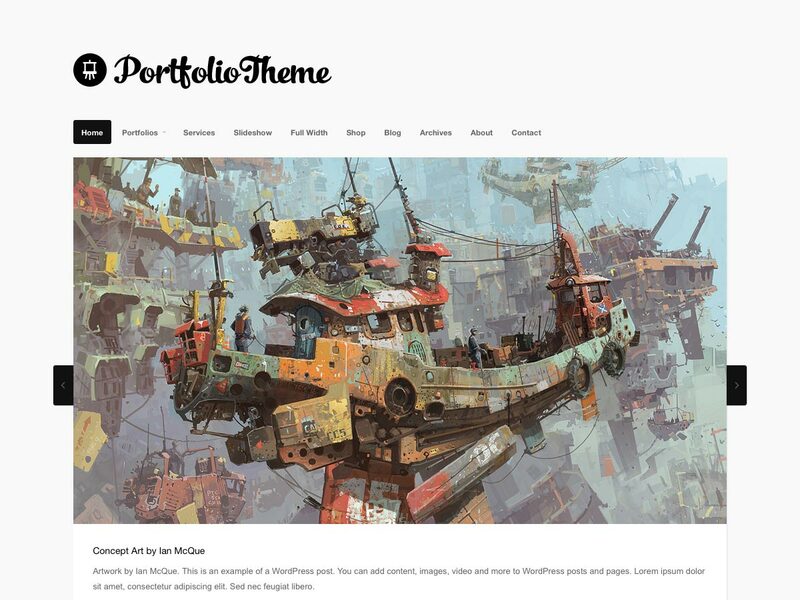 Portfolio is a minimal portfolio theme perfect for displaying artwork, design work, or photography. 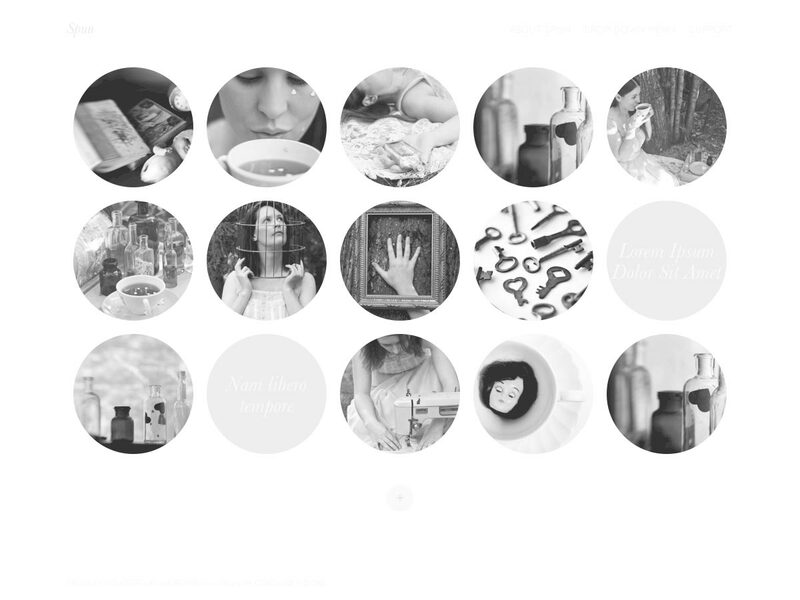 It’s fully responsive, includes multiple portfolio layout options, and more. 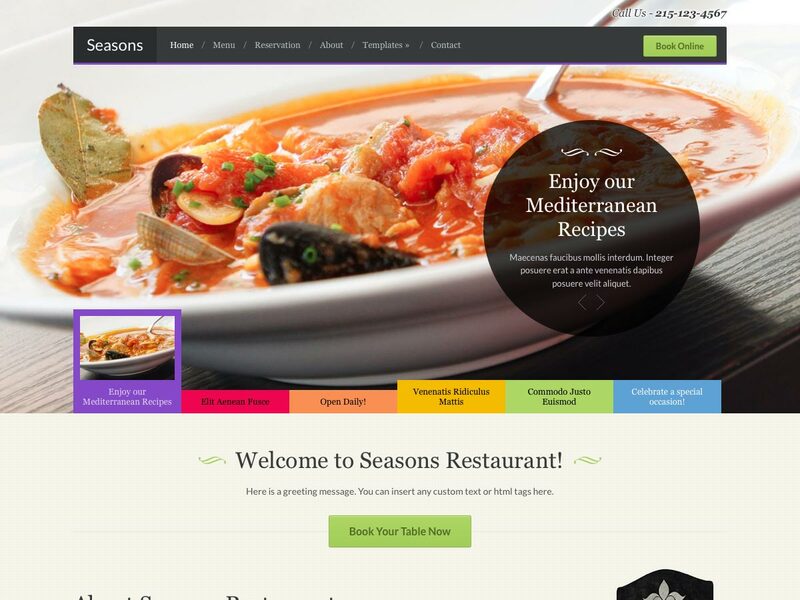 Seasons is a perfect theme for restaurants, cafes, bars, and other food-related businesses. It’s built on the ZOOM Framework, is fully responsive, and includes a food menu template, among other features. 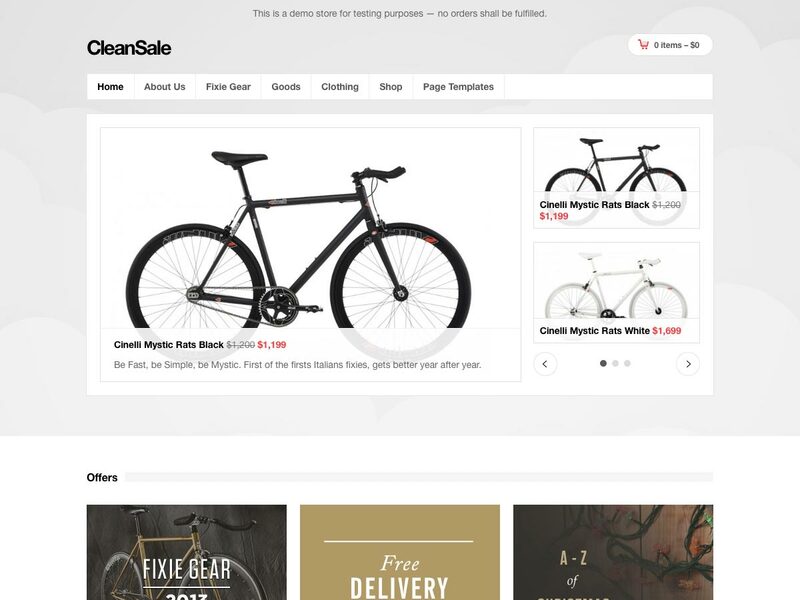 Cleansale is a minimalist, responsive eCommerce theme with a multi-block homepage slider, a product image slider, custom fonts, a widget-drive homepage setup, and more. 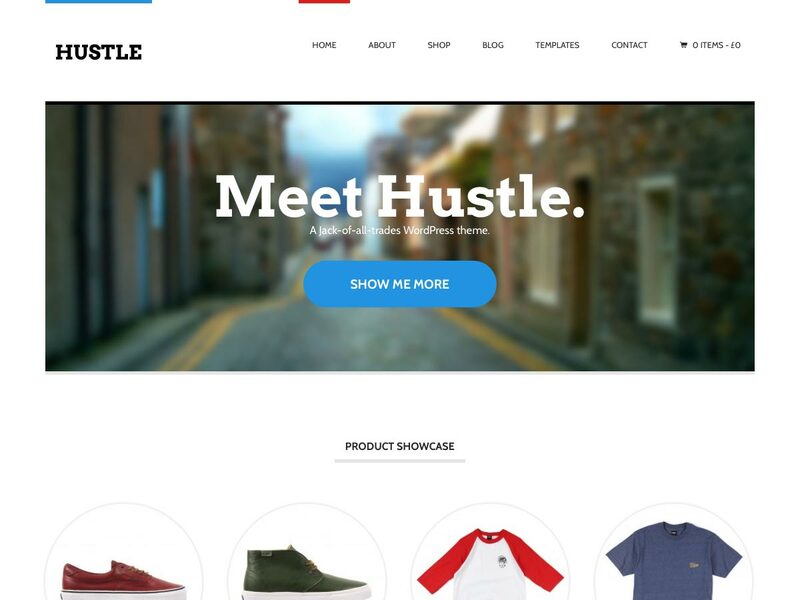 Hustle is a responsive business theme that also works as an eCommerce theme (compatible with WooCommerce) or a blogging theme. 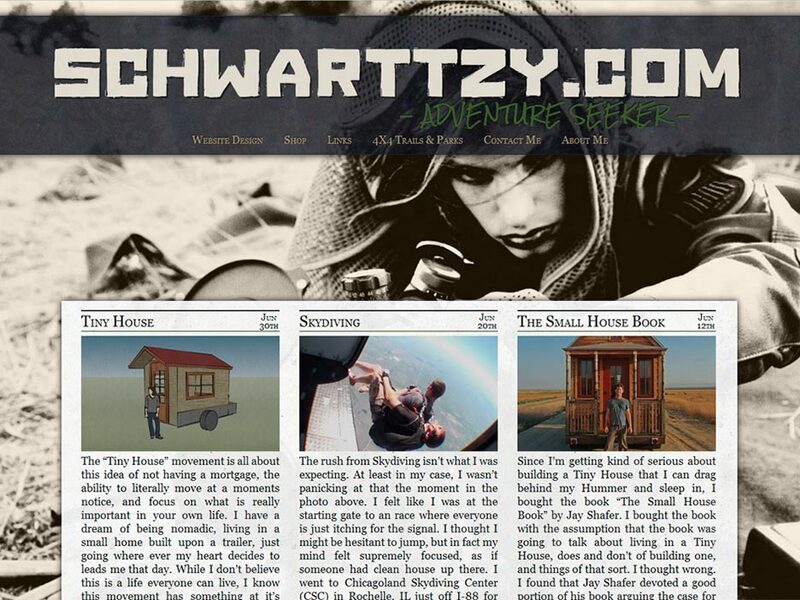 It has a custom homepage, a featured slider, an introductory message, and more. Courtier is built for affiliate marketers. 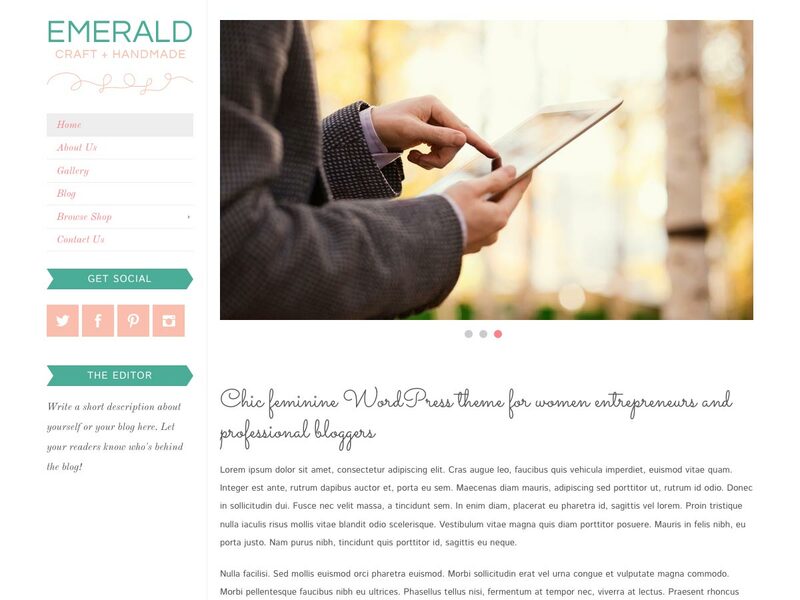 It has a professional look and feel, is fully responsive, and includes several page templates. 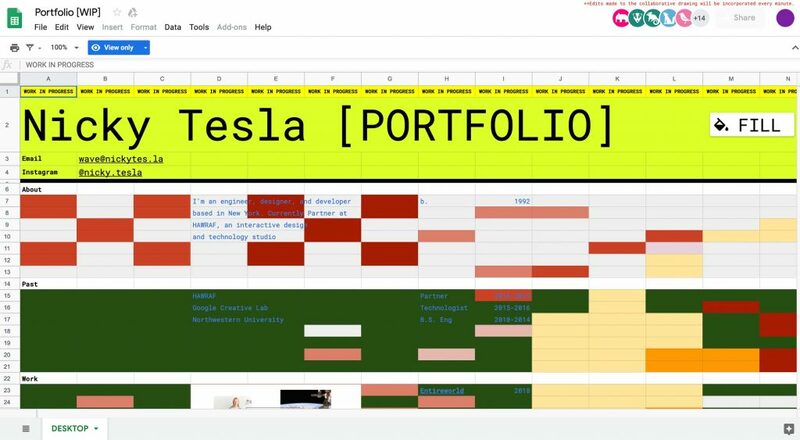 Venture is a professional business theme that includes a built-in portfolio to show off your work. It has a responsive layout, full-width slideshow, and more. 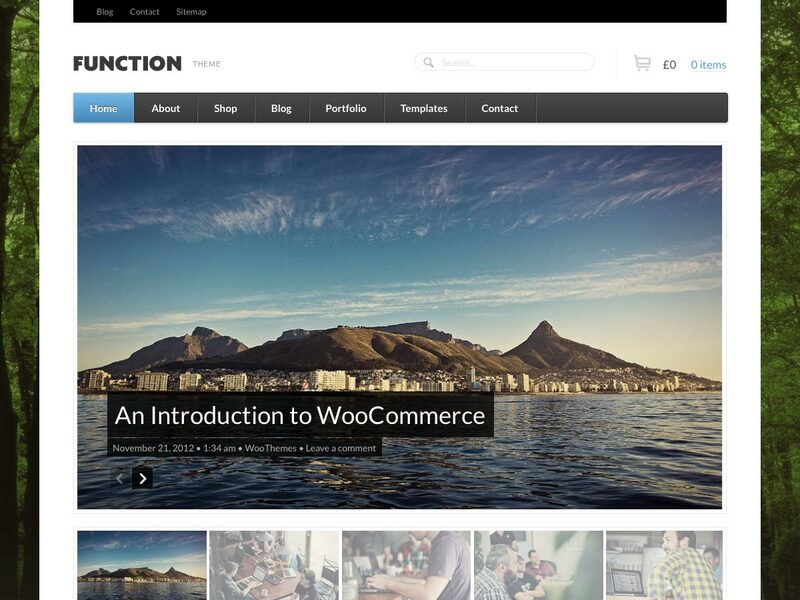 Function is a responsive blogging, business, and ecommerce theme with a featured slider that includes carousel pagination, and styling for WooDojo’s widgets so you can shape the theme to suit your needs. Dano is a responsive, multi-purpose theme for business and creative agency sites. It has a customizable homepage layout with a drag-and-drop layout manager, includes the Revolution Slider, has unlimited color support, and more. 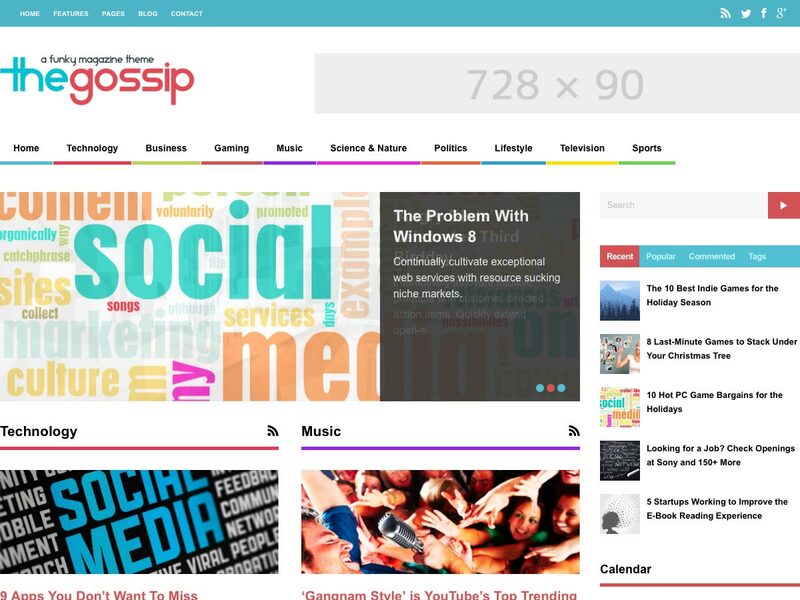 The Gossip is a responsive ultra-wide, funky magazine theme that’s great for any kind of site. It offers unlimited layouts, a review system, auto installation with demo content, and more. 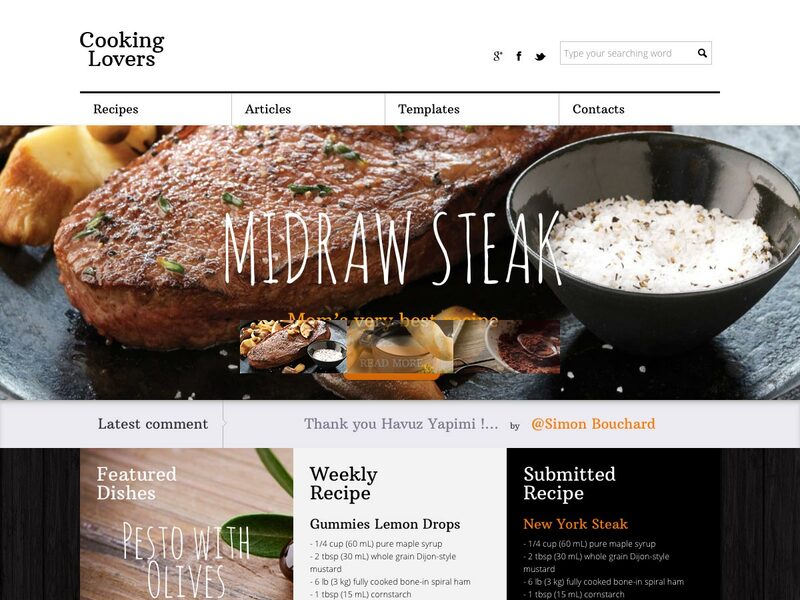 Cooking Lovers is a great theme for cooking blogs, restaurants, and online food retailers, or any other kind of food-related site. It’s fully responsive, with unlimited color management options, custom fonts, and more. 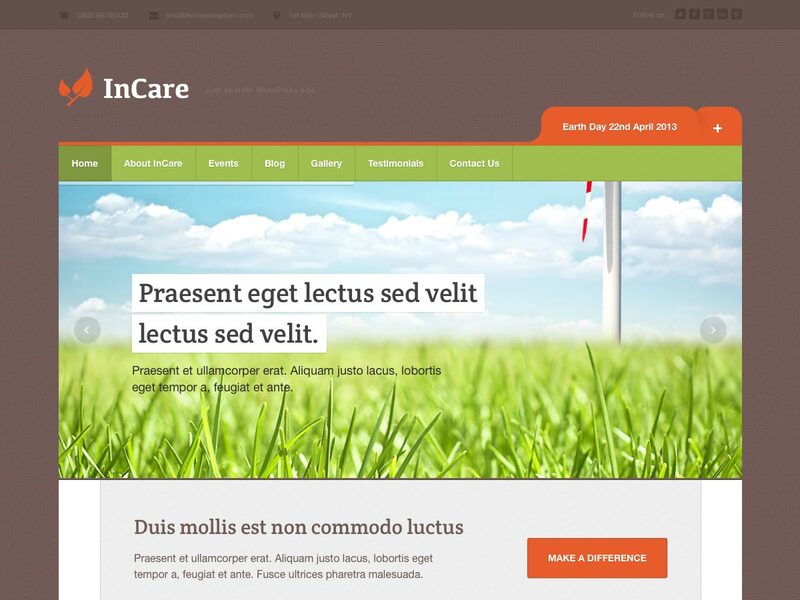 InCare is a responsive eco-friendly/non-profit theme with an impressive set of custom options for events, news, testimonials, and galleries. 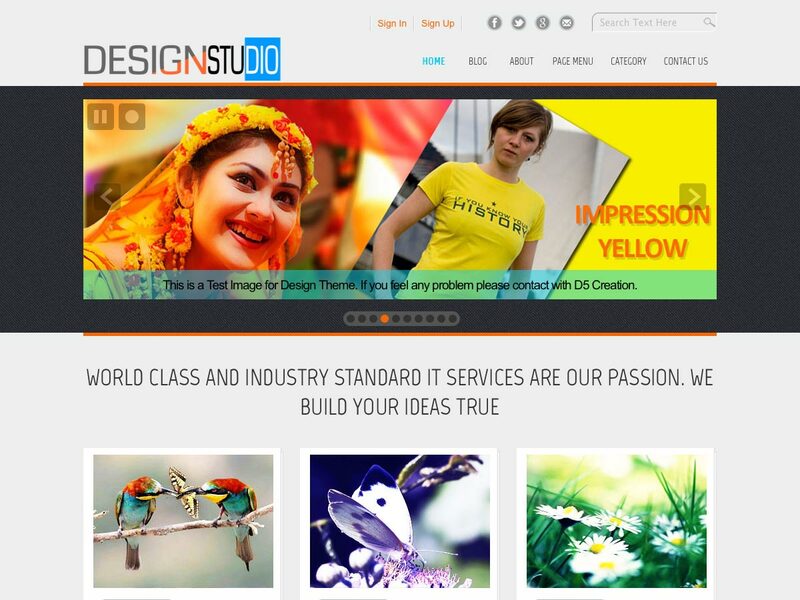 It includes custom theme administration, a shortcode generator, and even includes the PSD files. 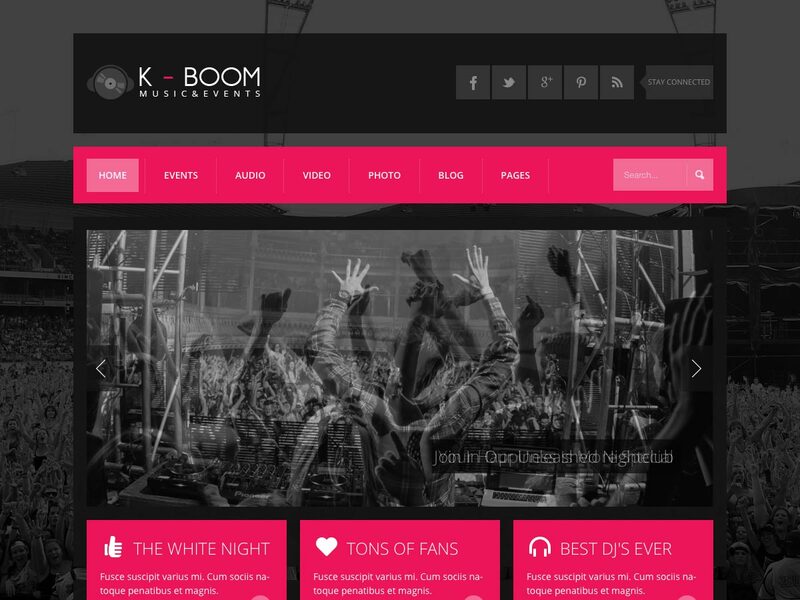 K-BOOM is a responsive theme for events and music sites. It includes sixteen custom templates, five custom widgets, a smart events manager, twenty-five predefined skins, and more. 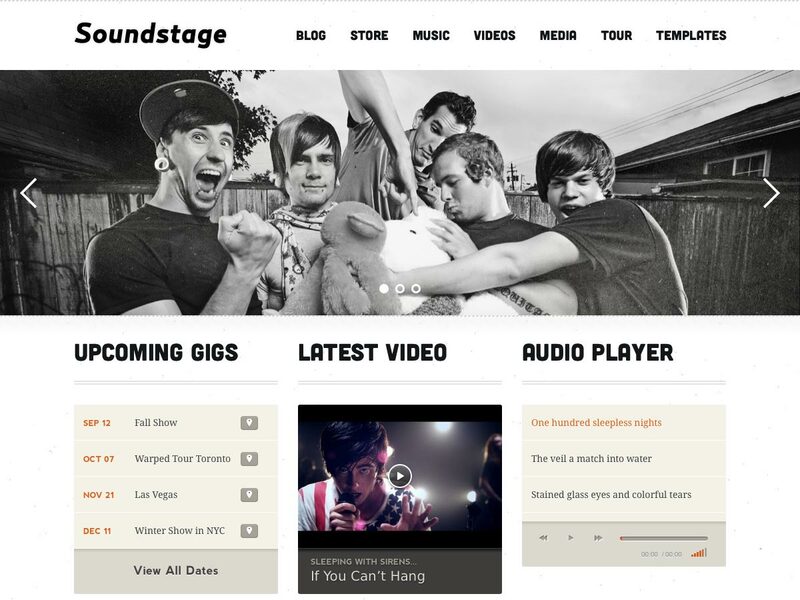 Soundstage is a widgetized, feature-rich minimalist theme designed for musicians. 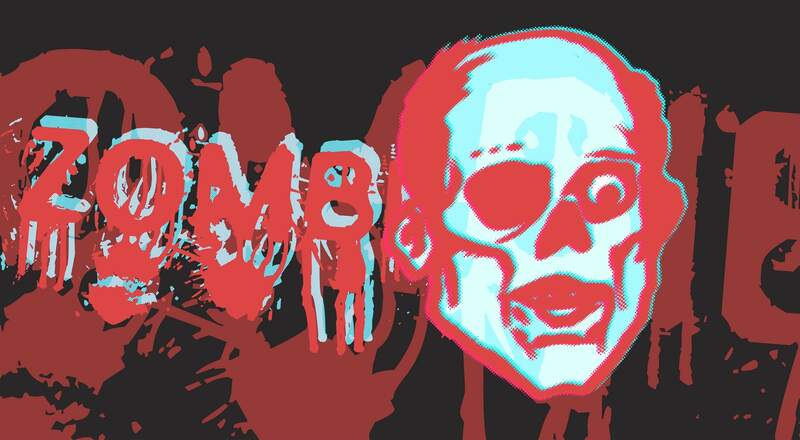 It includes a slick homepage layout and slider, plus capabilities for MP3 streaming, an online store, discography, photos, videos, tour dates, and blogs. What are your favorite new themes? Did we miss any you think should be featured? Let us know in the comments.